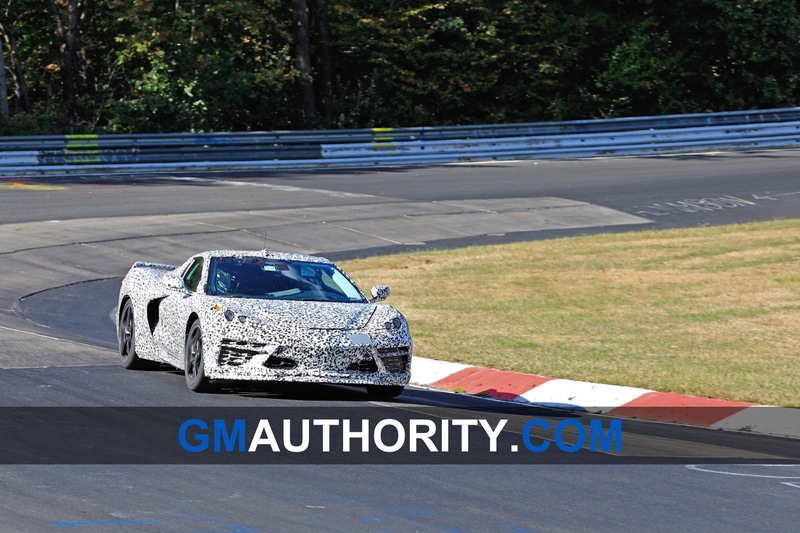 Chevrolet’s all-out attack on the Nürburgring Nordschleife with the forthcoming, eighth-generation Chevrolet Corvette isn’t showing any signs of letting up soon, and now, a video clip uploaded to Motor1‘s YouTube channel captures the mid-engine Corvette C8 blasting around the track at somewhere near a full trot. 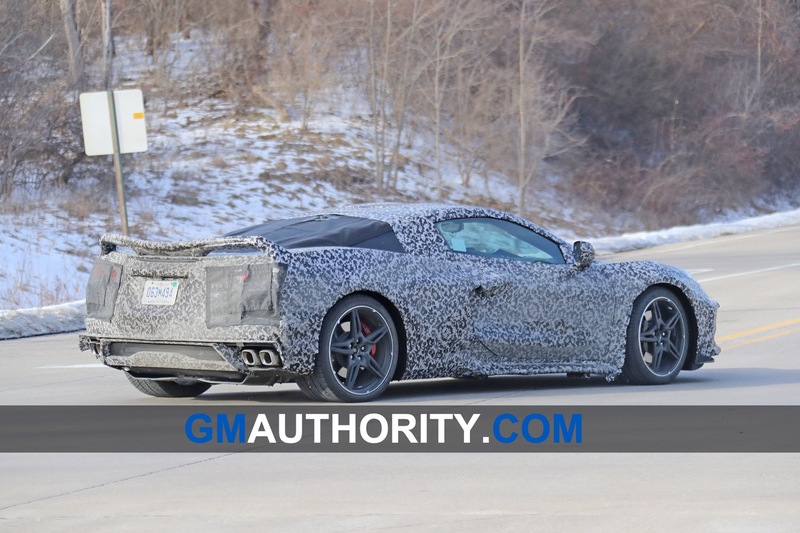 The clip gives us an excellent opportunity to experience the auditory character of the next Corvette’s potent V8 engine, and to see its sharp, angular body in motion. 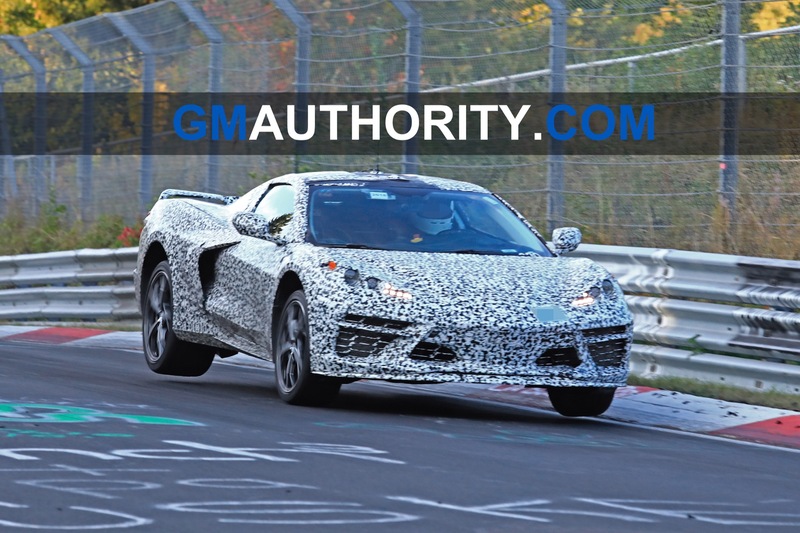 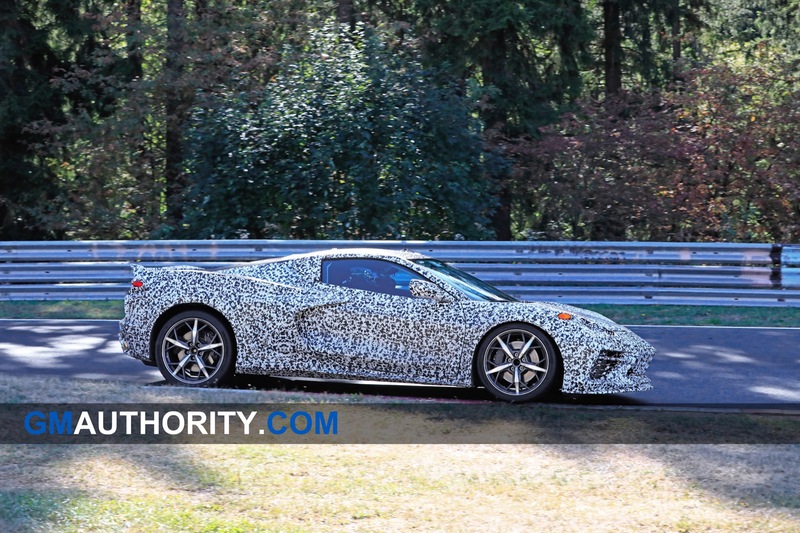 Granted, this isn’t the first video clip we’ve come across that shows Chevrolet’s future mid-engine Corvette attacking the corners of Germany’s Nürburgring Nordschleife, but it might just be the clearest. 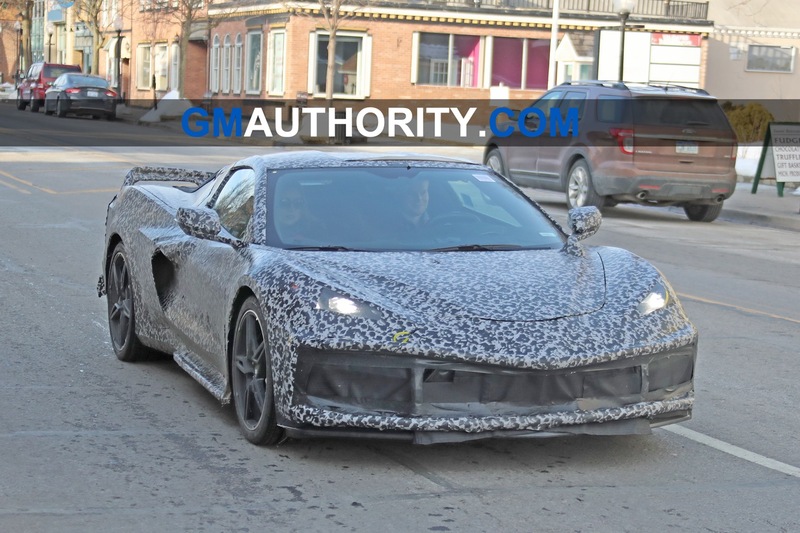 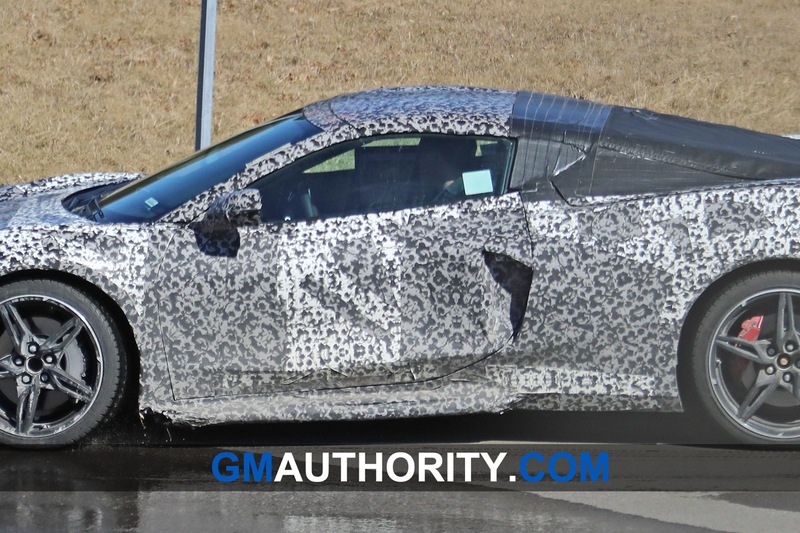 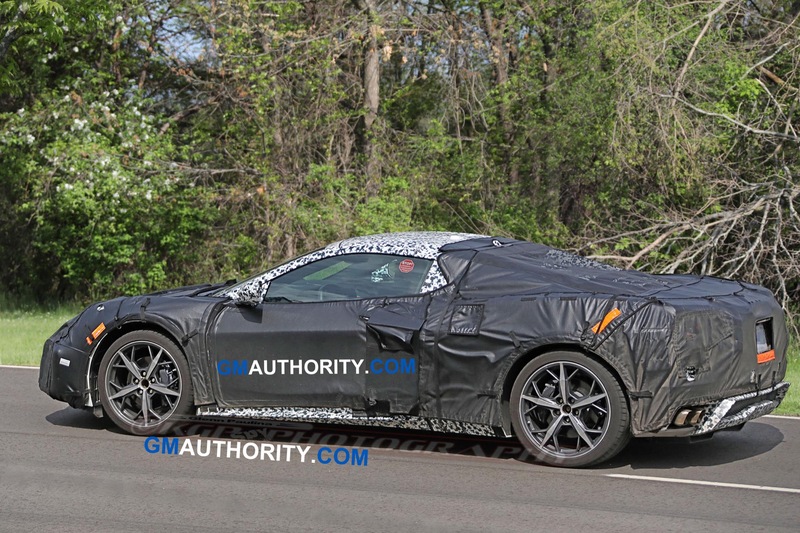 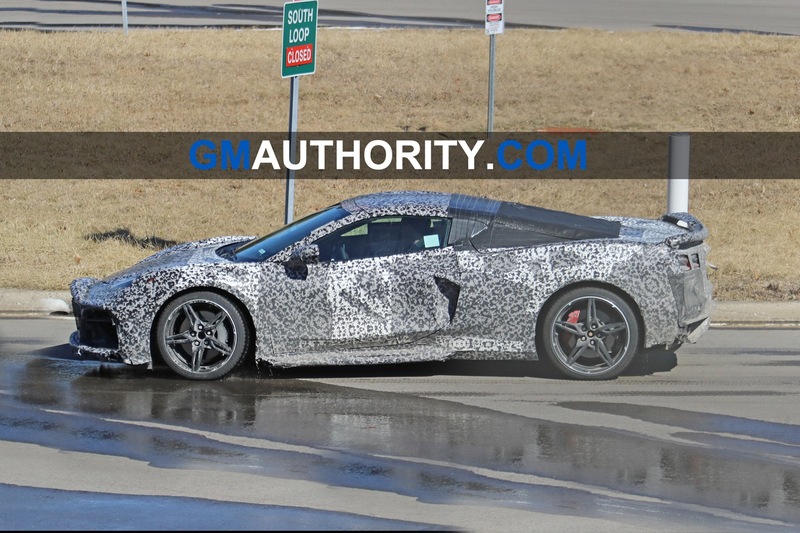 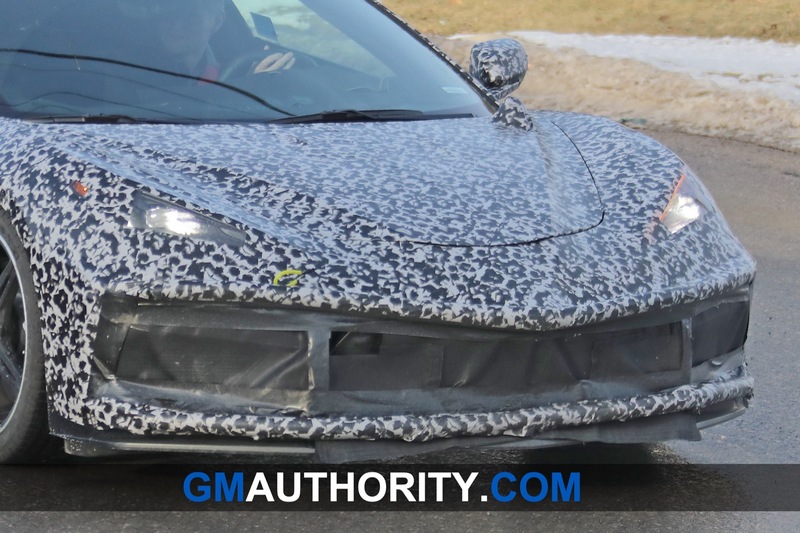 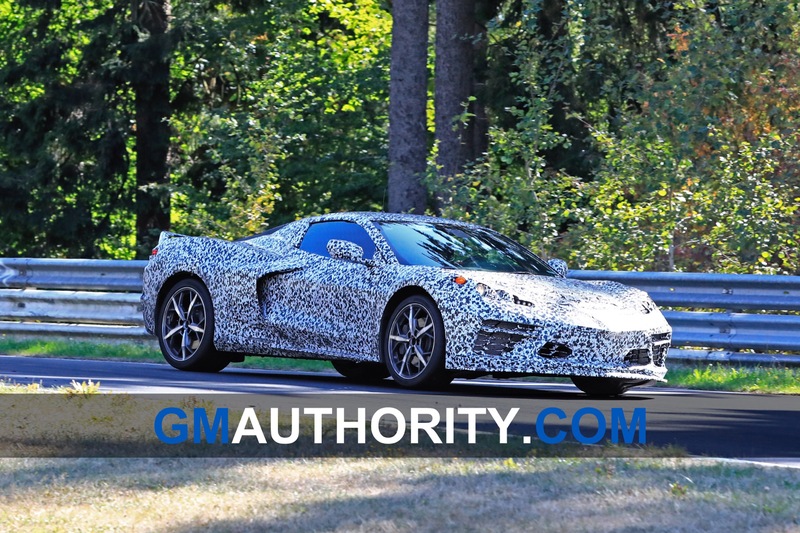 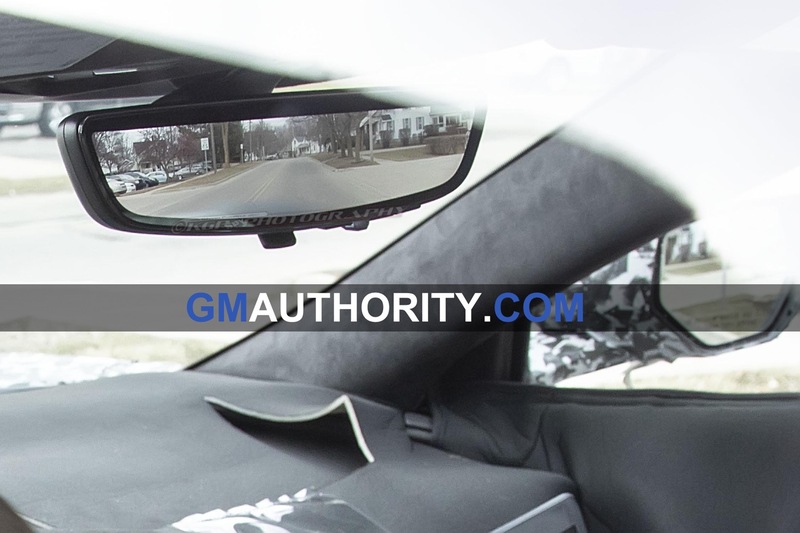 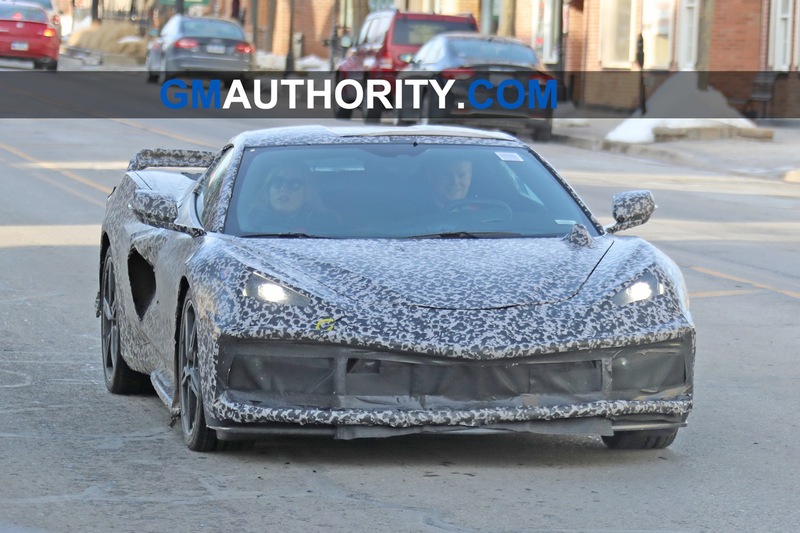 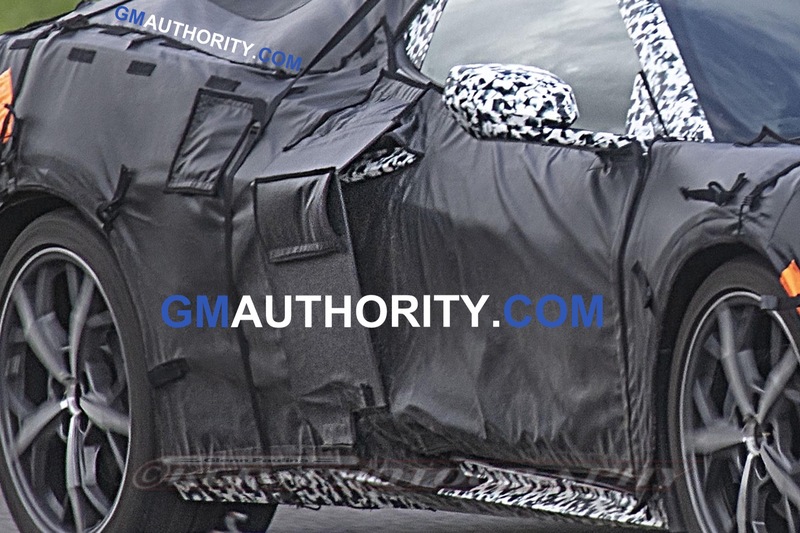 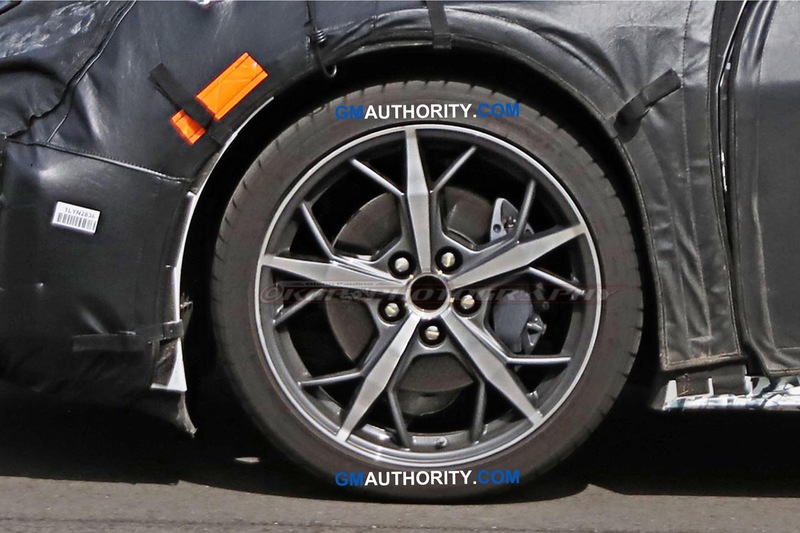 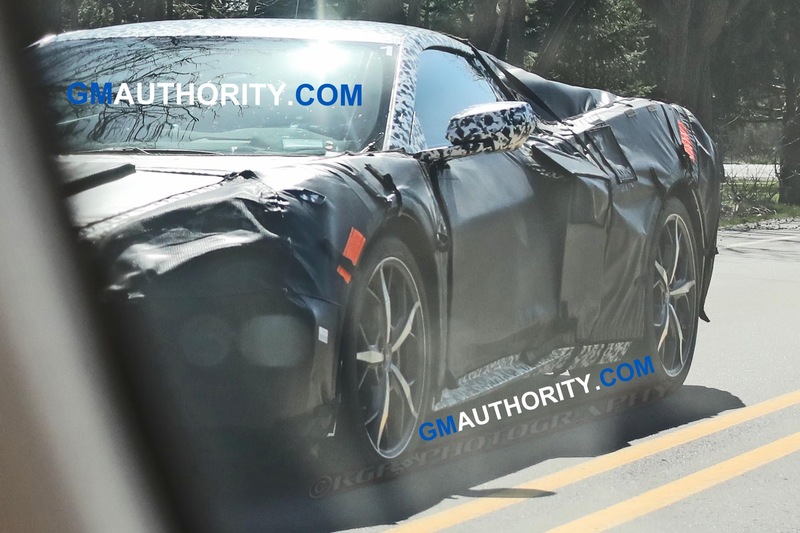 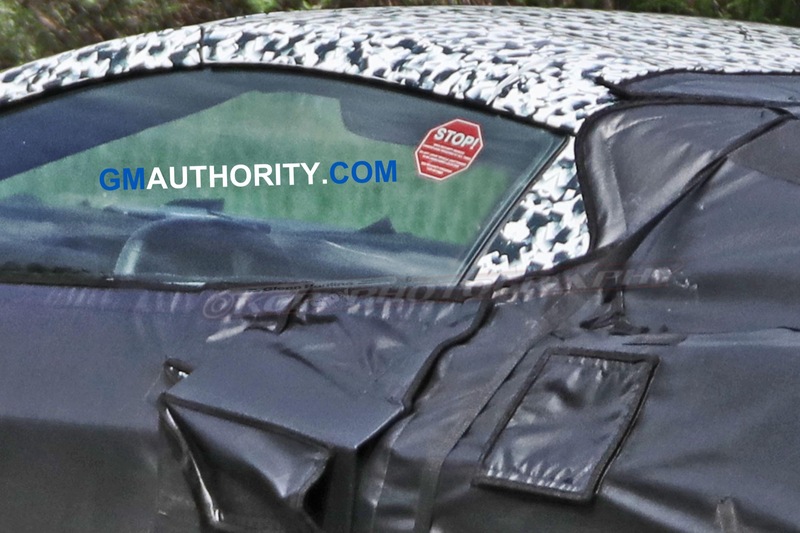 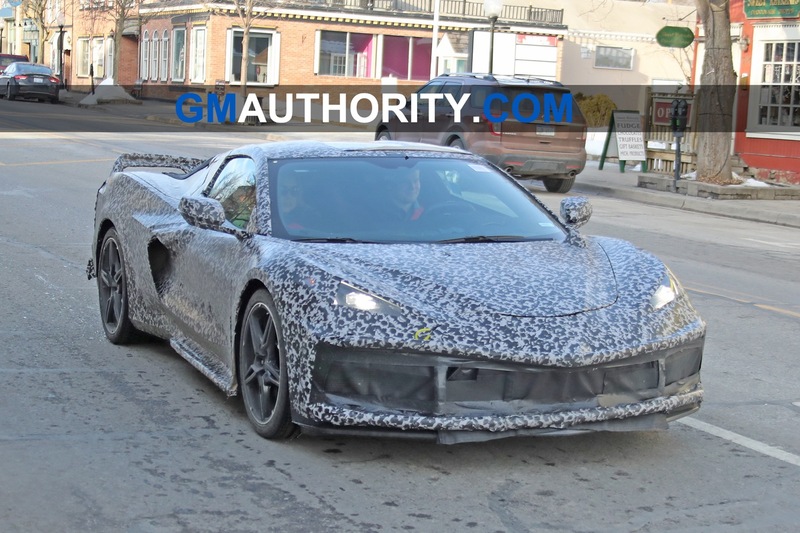 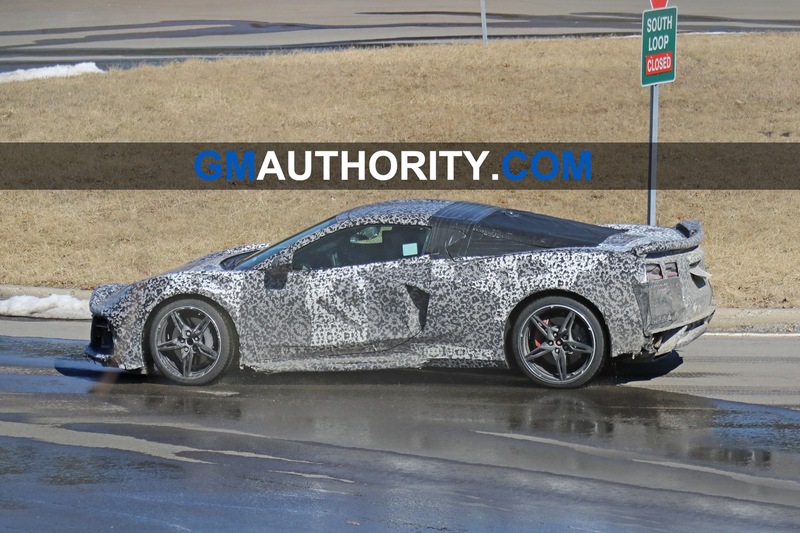 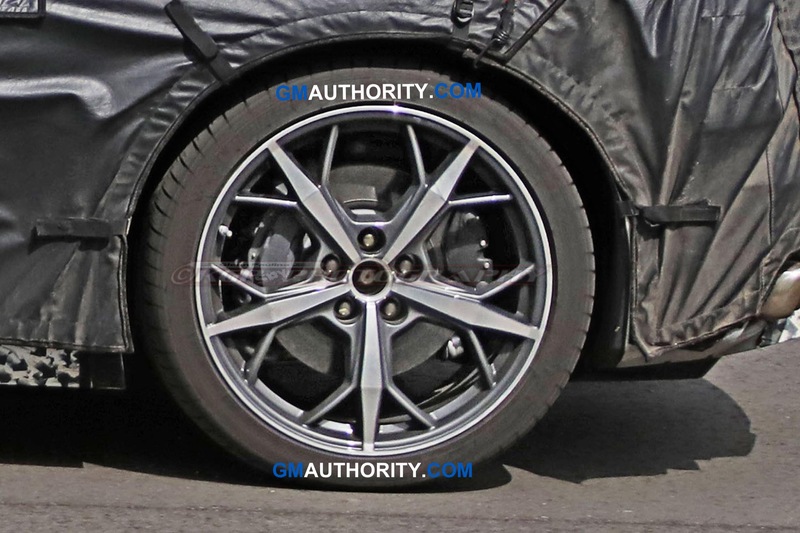 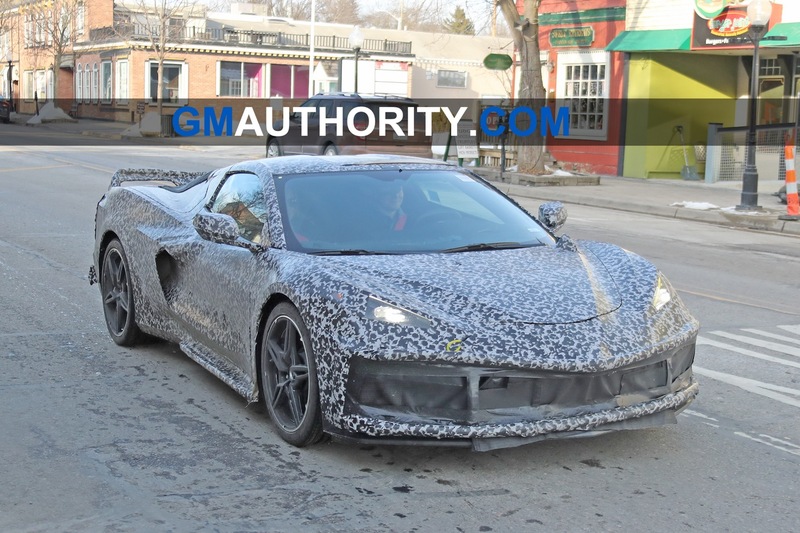 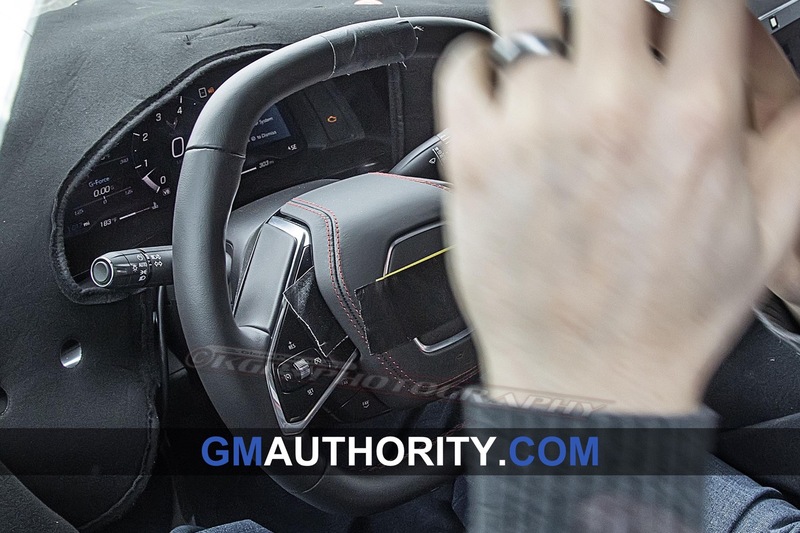 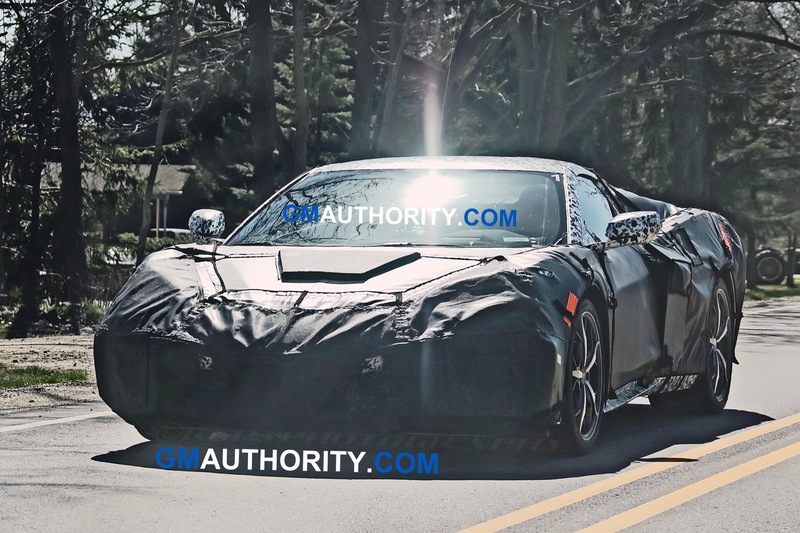 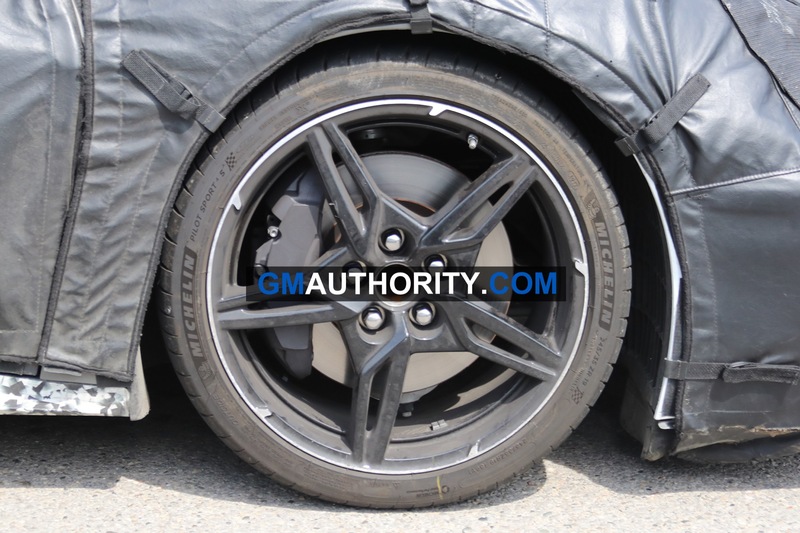 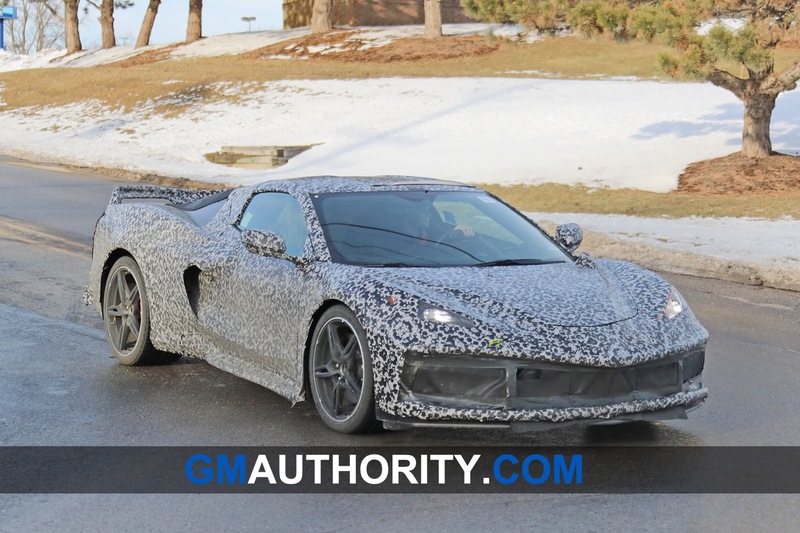 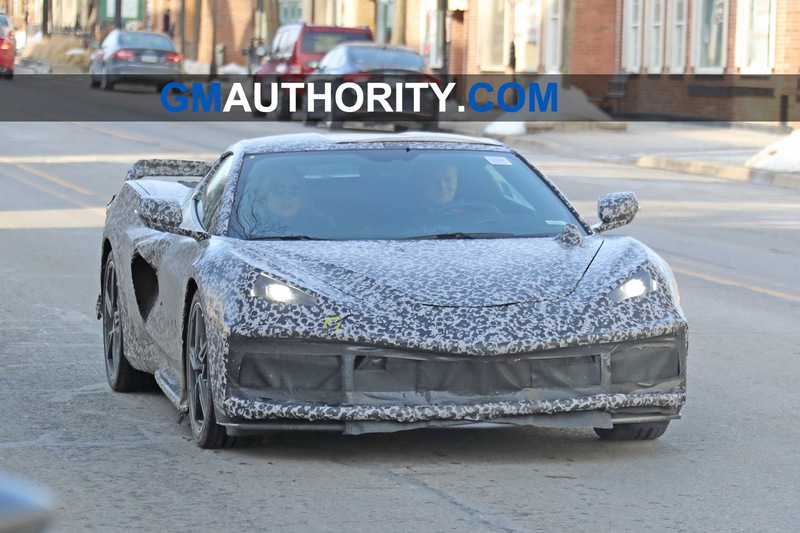 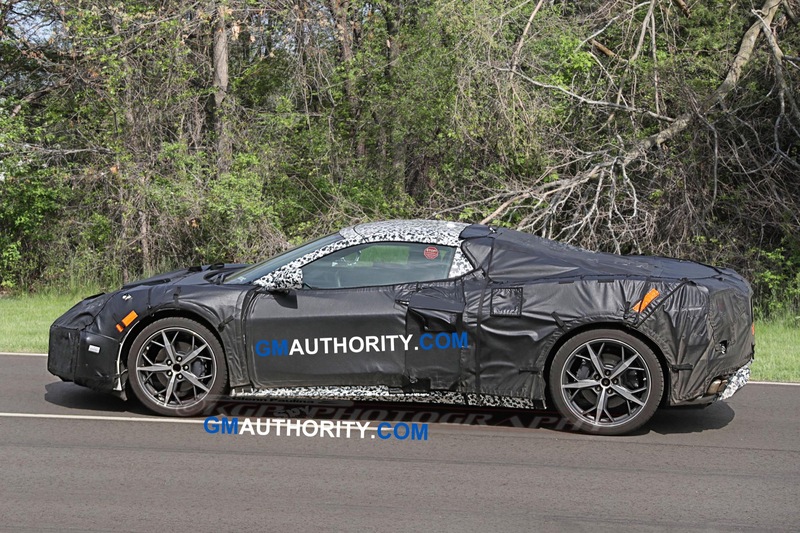 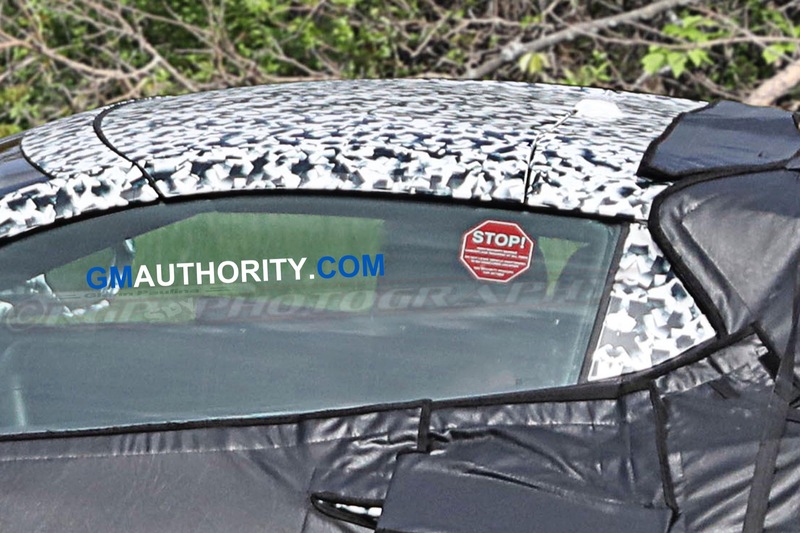 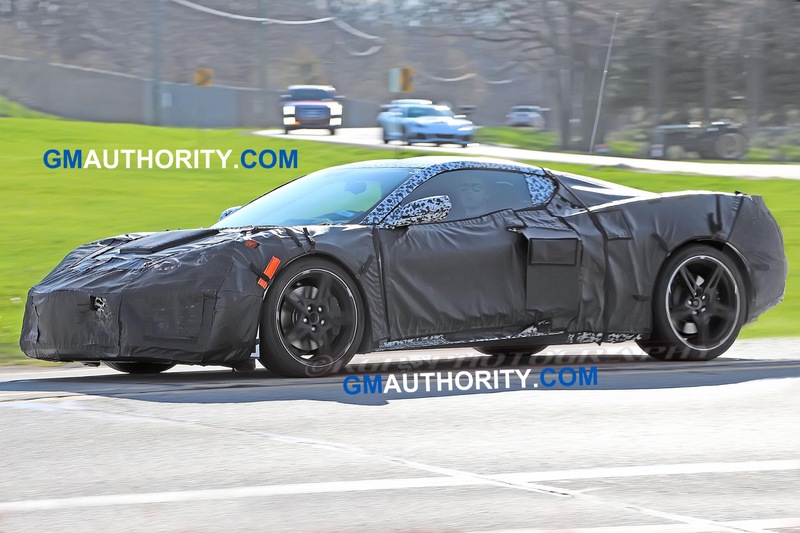 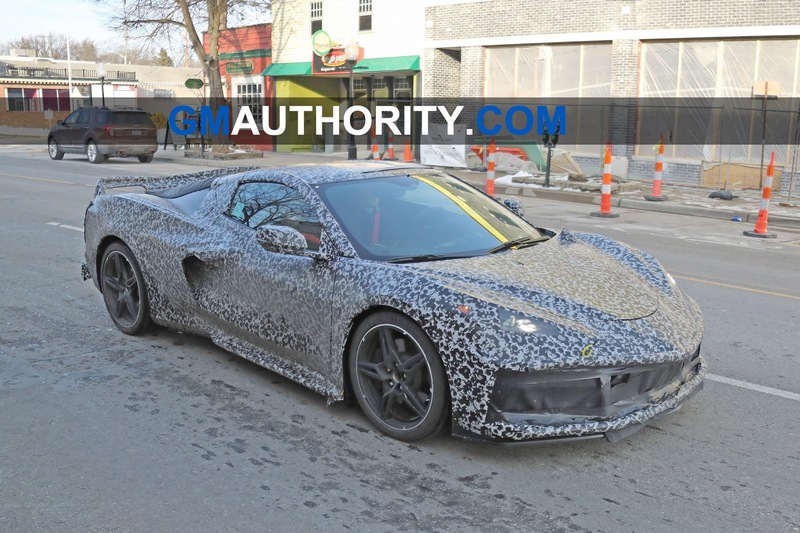 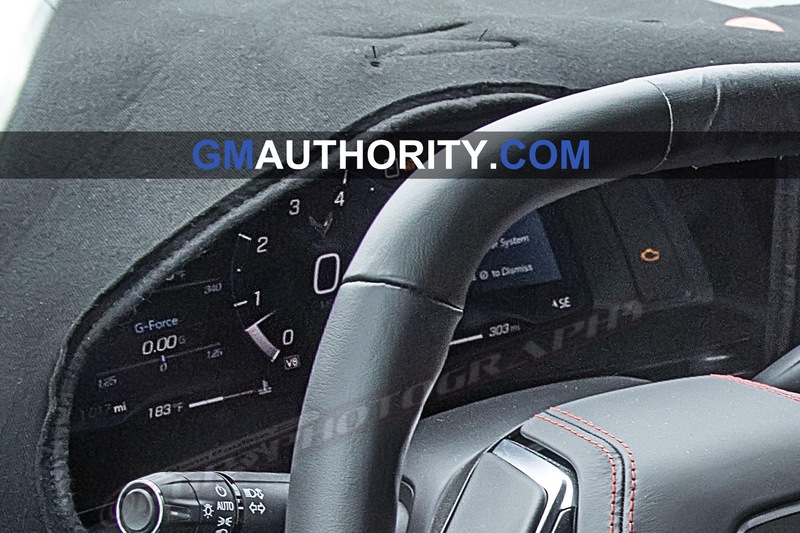 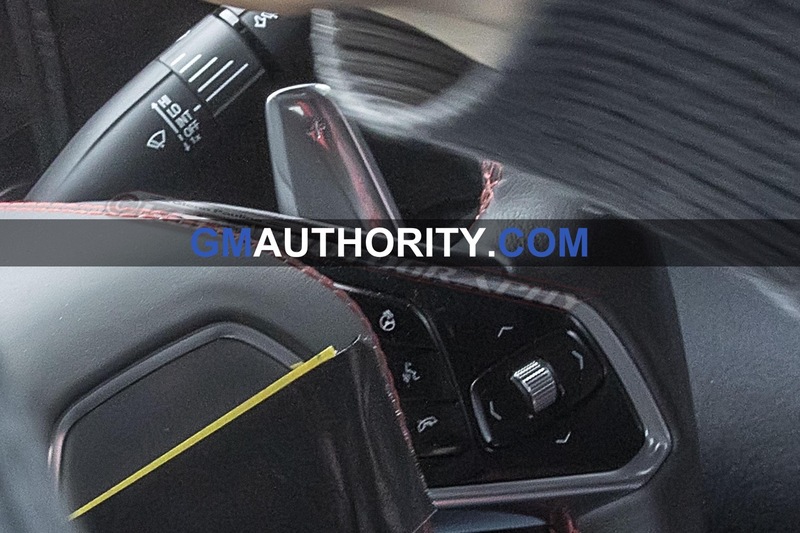 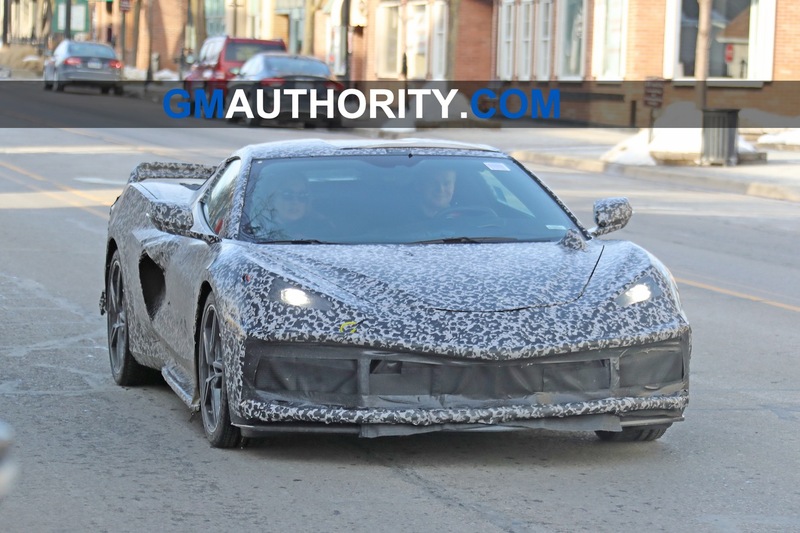 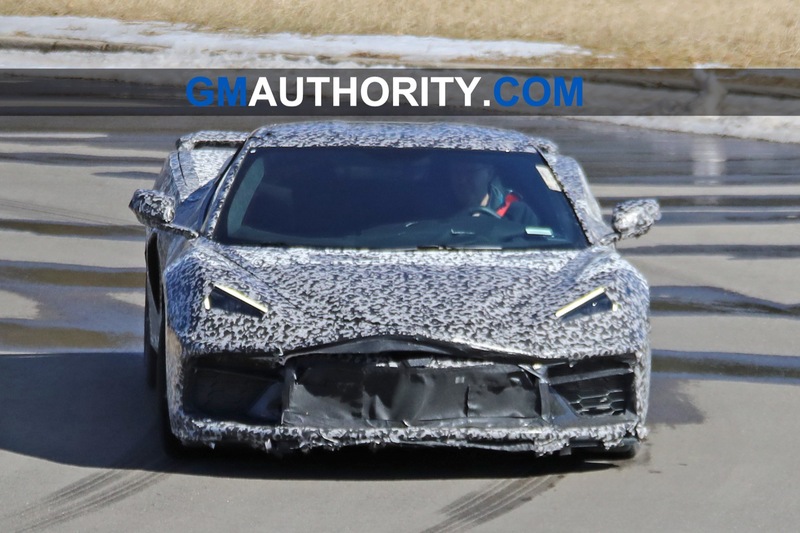 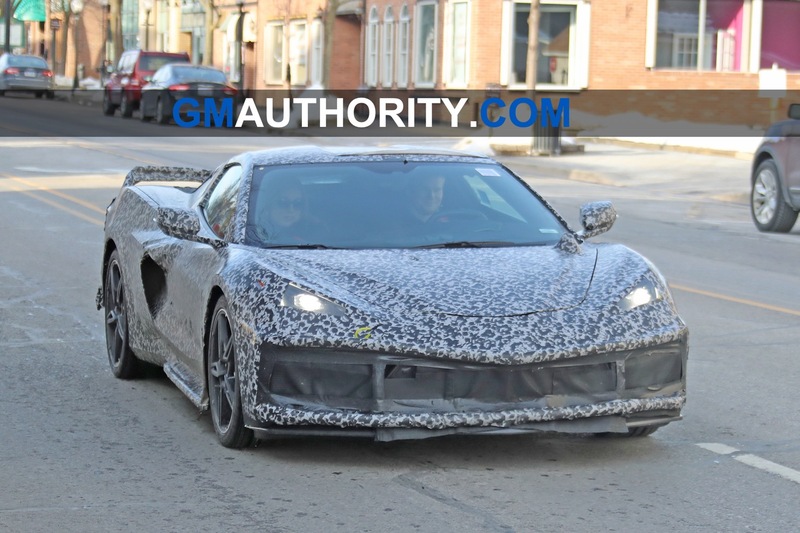 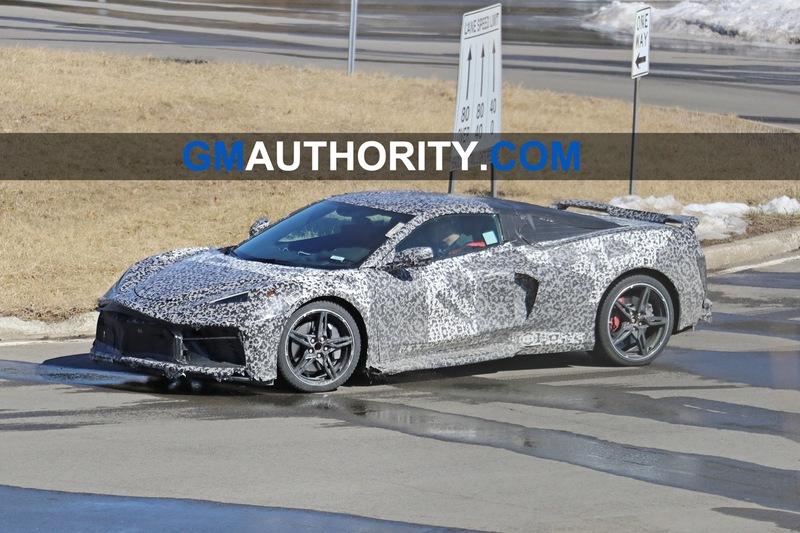 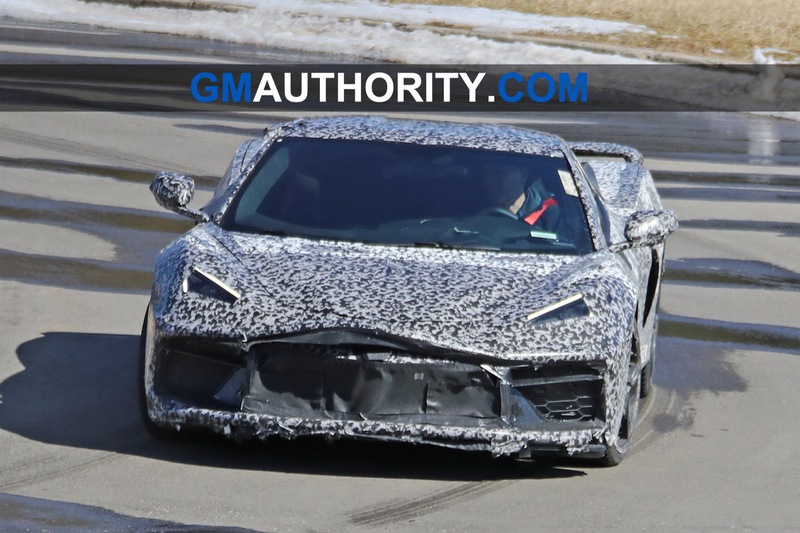 There are still a lot of unknowns with regard to the 2020 Chevrolet Corvette C8 – for instance, what sort of powertrain it will have. 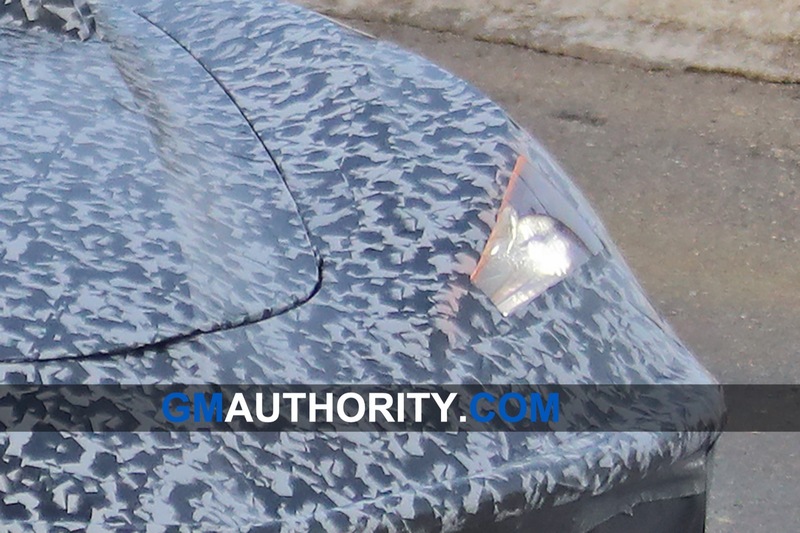 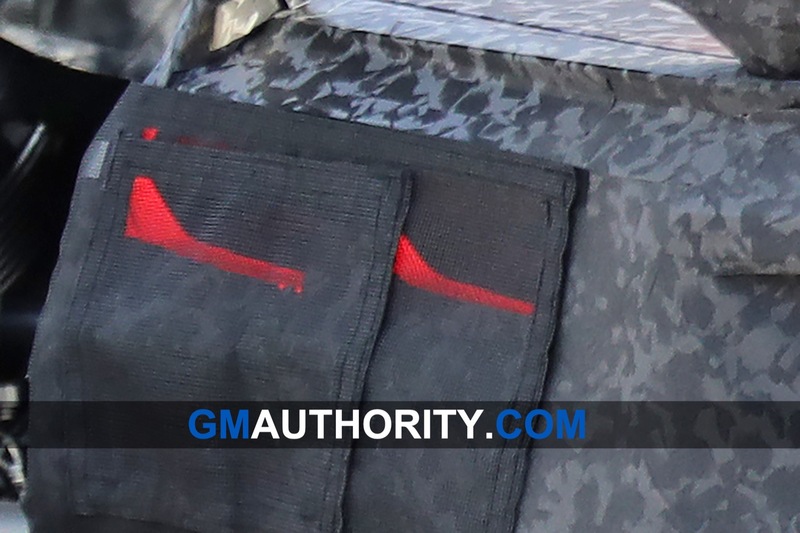 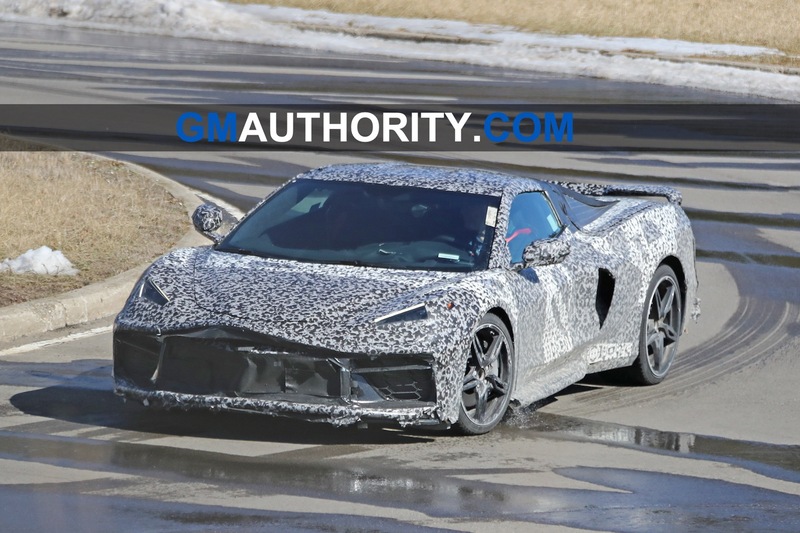 Rumors suggest that the mid-engine Corvette could start off with a revised take on Chevy’s 6.2L LT1 pushrod V8 before adopting 600-horsepower (naturally-aspirated) and 800-horsepower (twin-turbocharged) versions of a 5.5L DOHC V8. 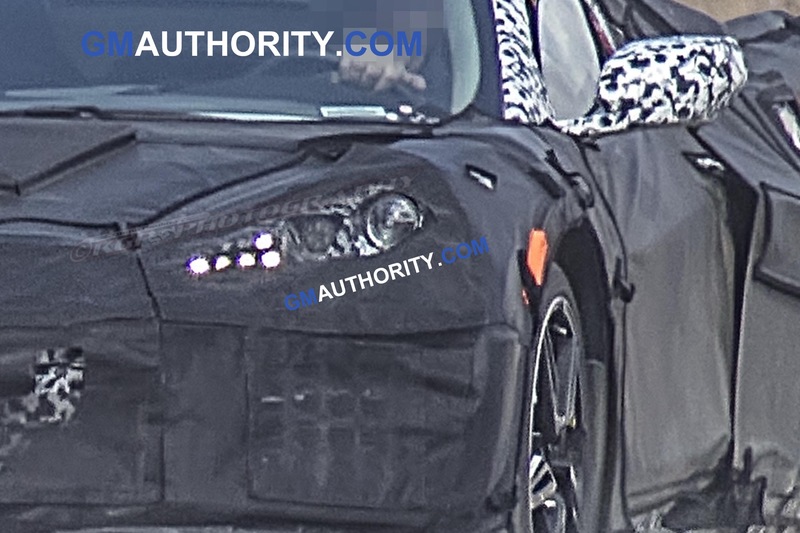 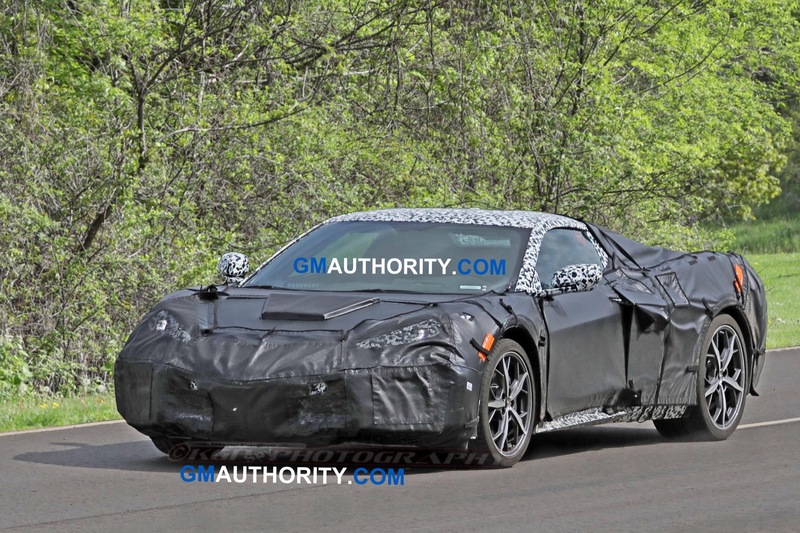 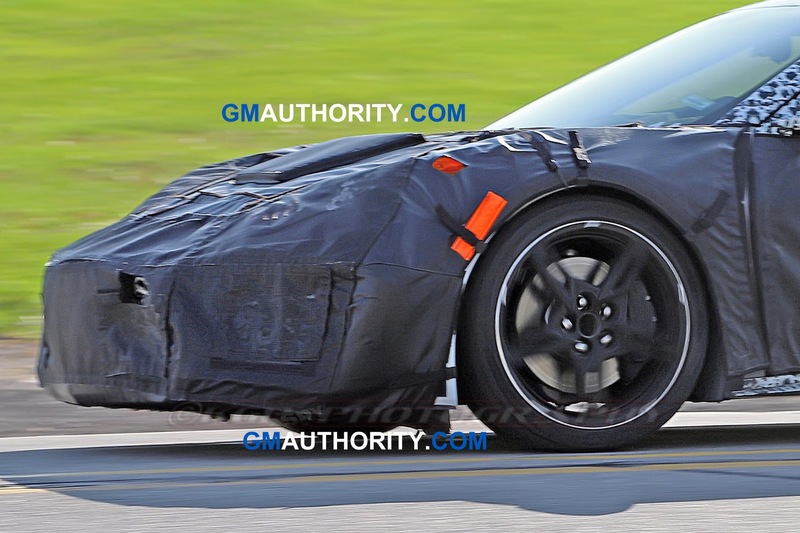 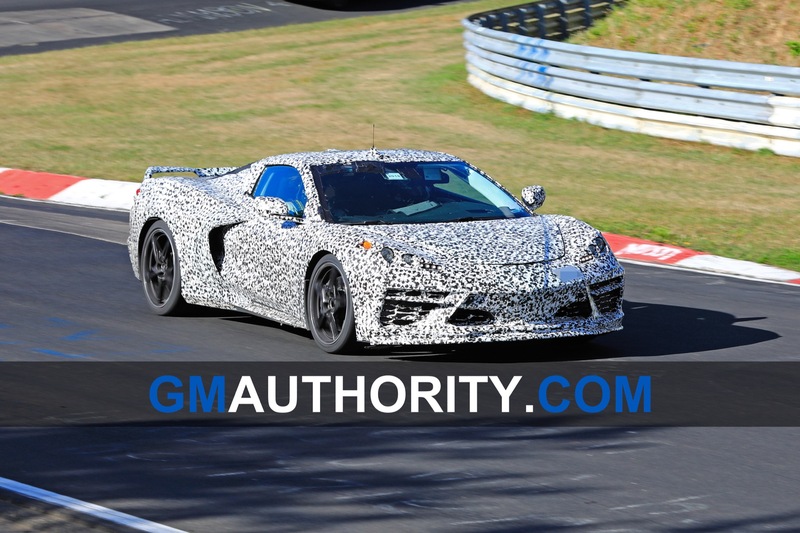 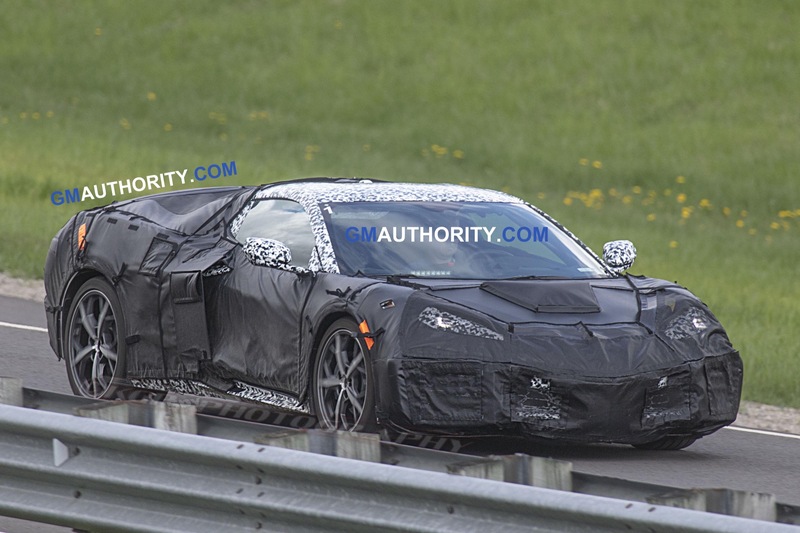 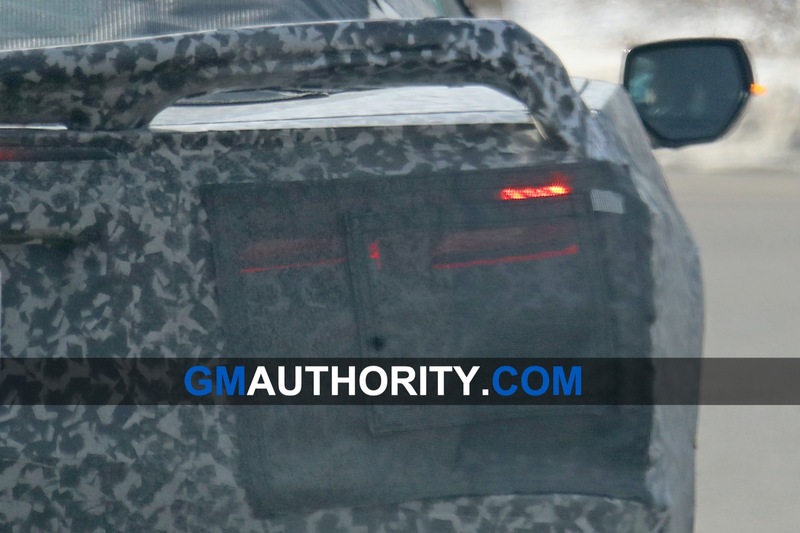 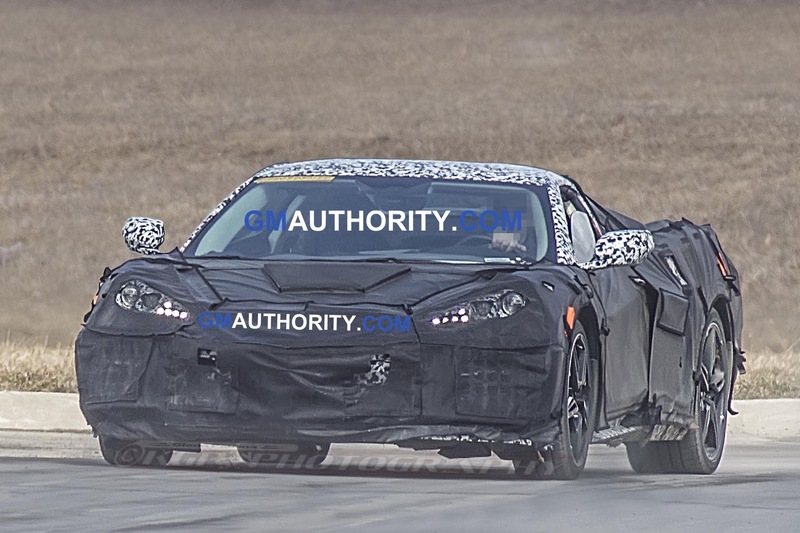 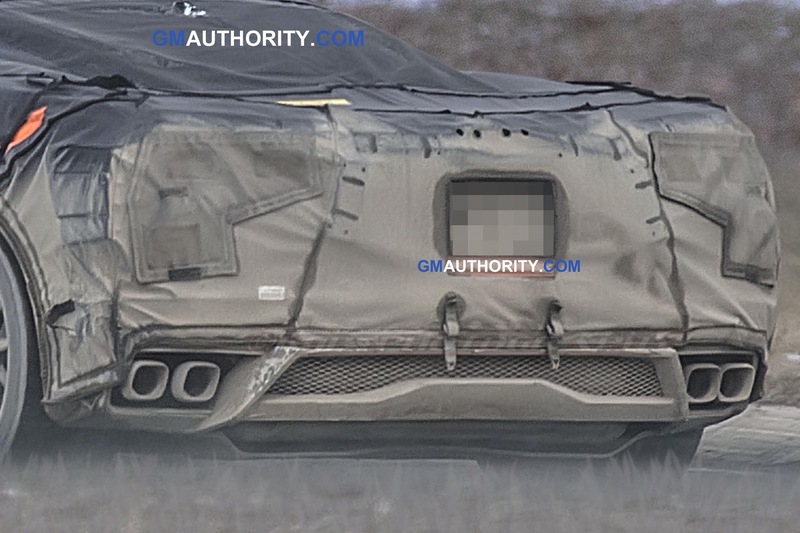 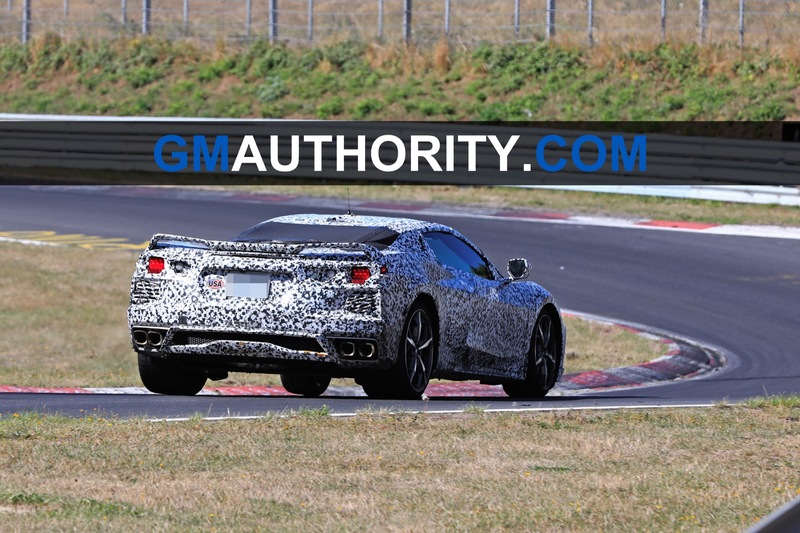 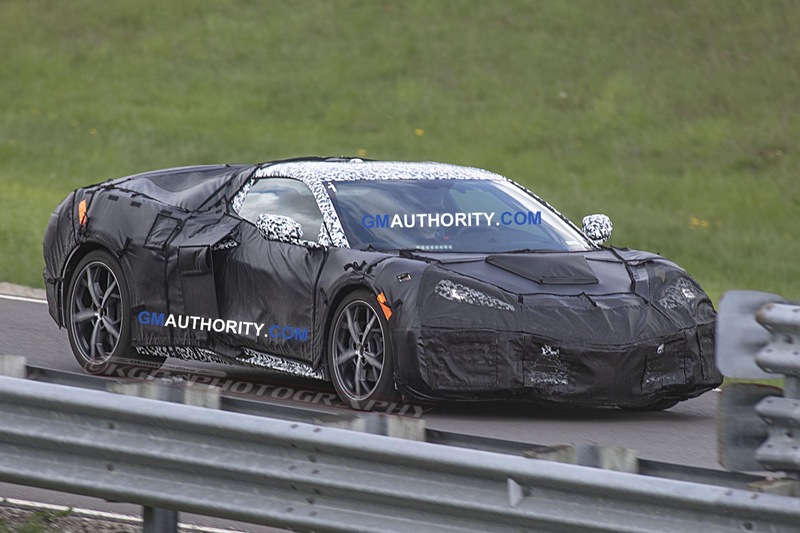 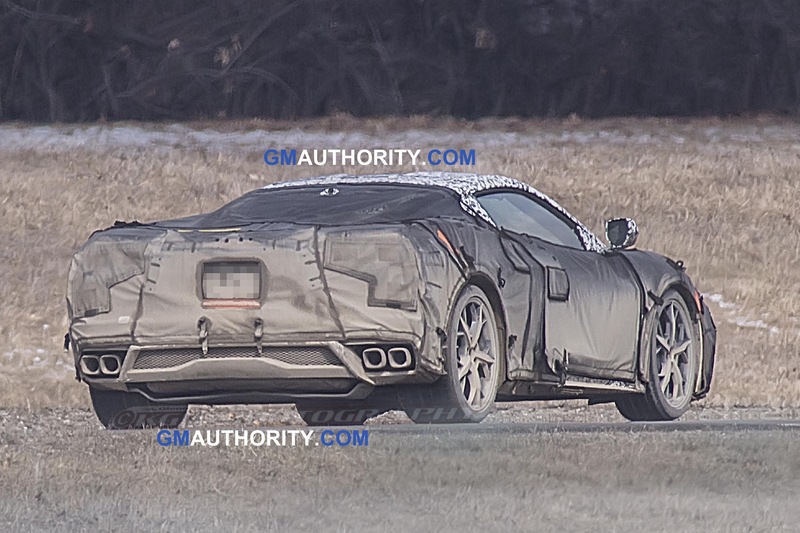 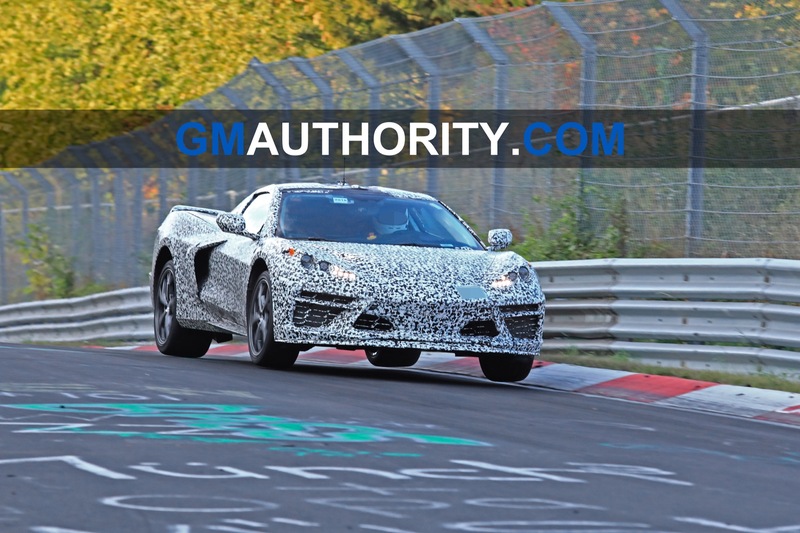 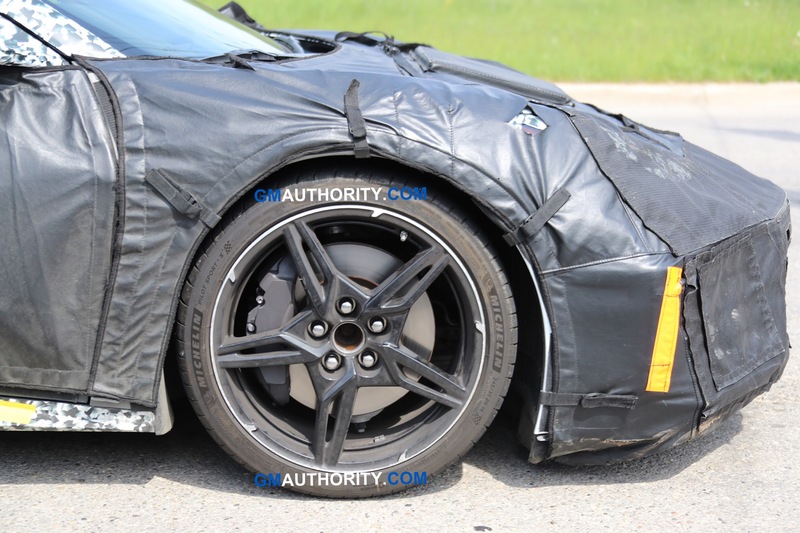 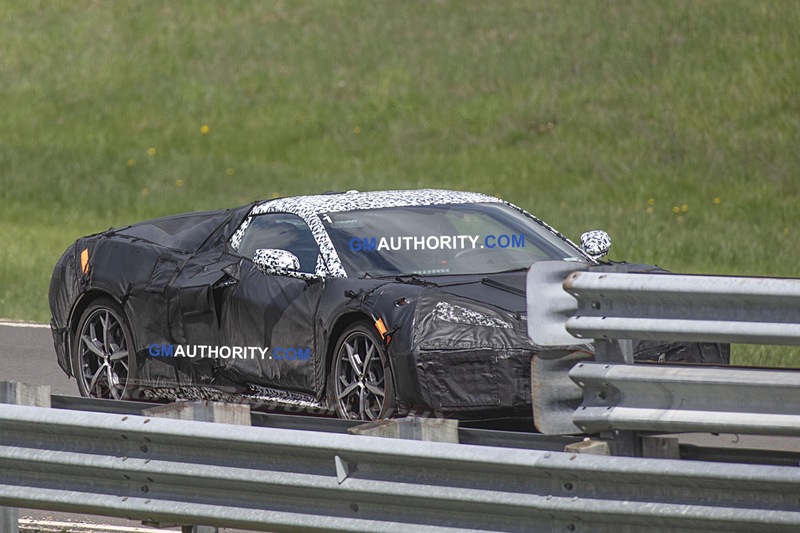 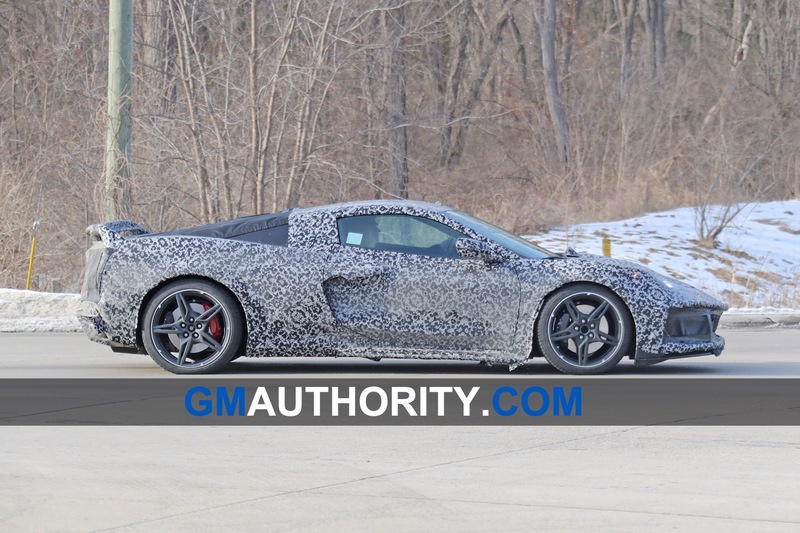 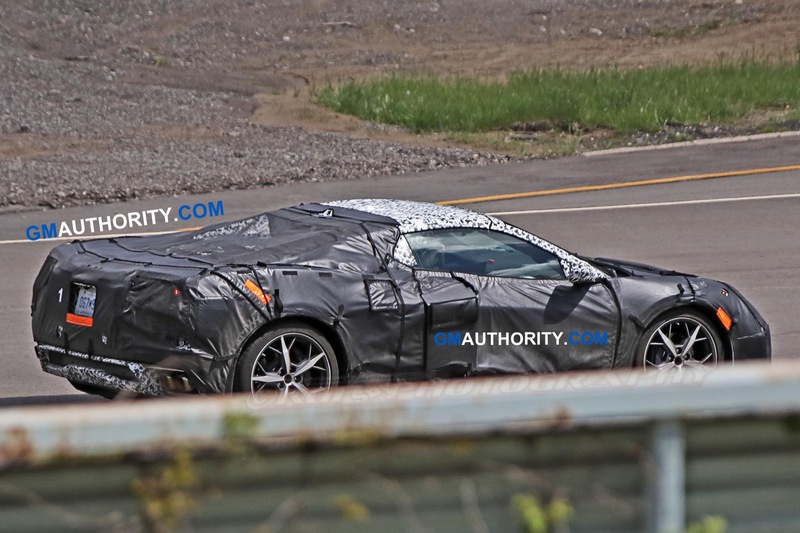 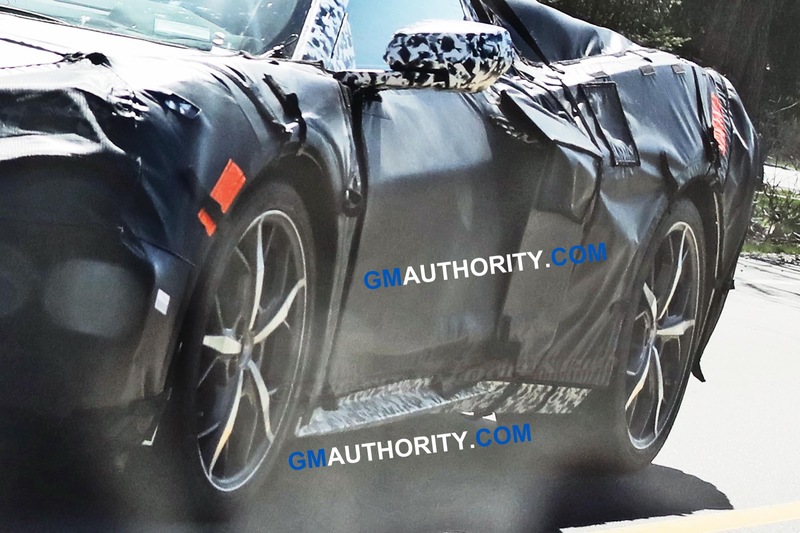 If true, those engines would mark the first overhead-cam V8s in the Corvette since the DOHC LT-5 used in the C4 ZR-1. 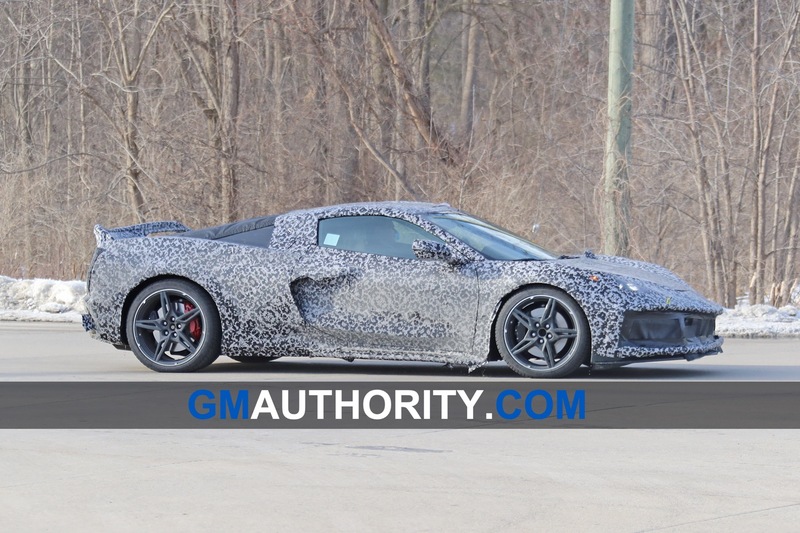 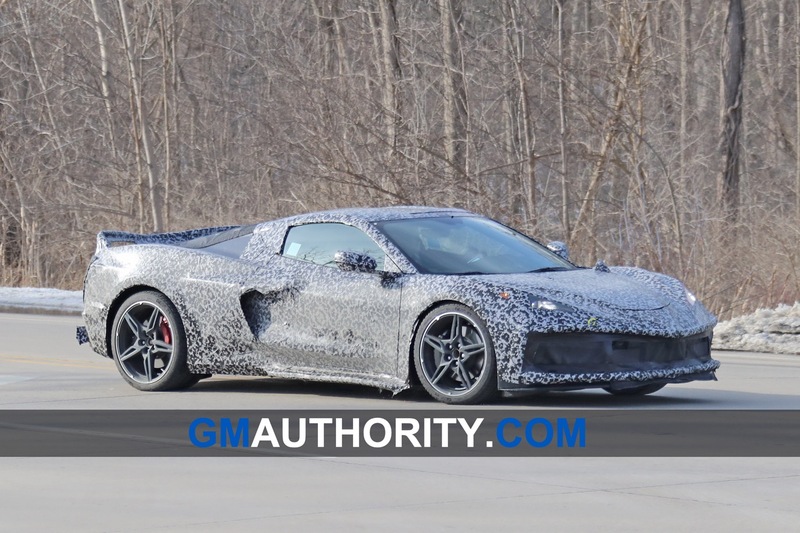 Whatever engines it offers, word is that the mid-engine Corvette will pair them exclusively with an eight-speed dual-clutch transmission. 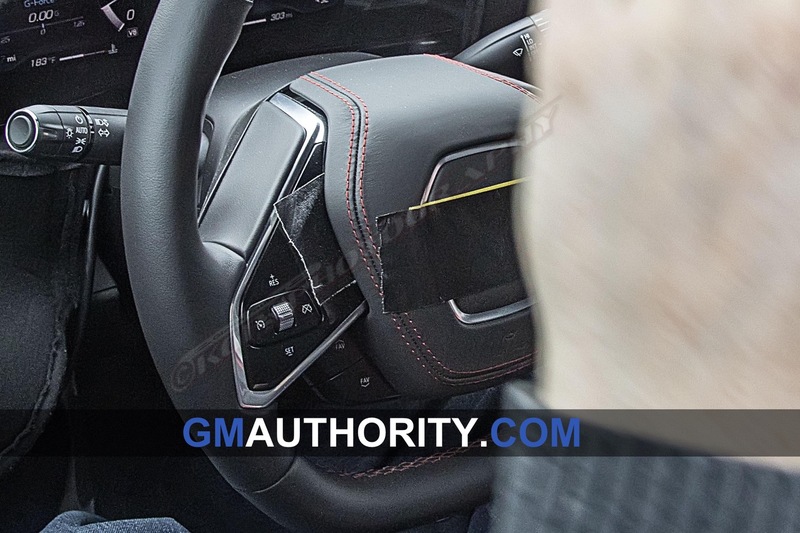 Many a member of the Corvette faithful will surely be dismayed to not have the option of a manual transmission, but from a performance perspective, a DCT is the correct choice. 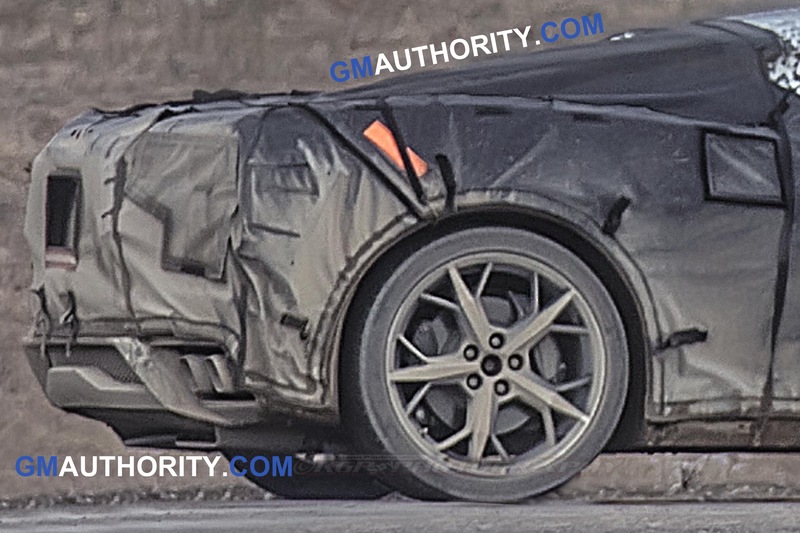 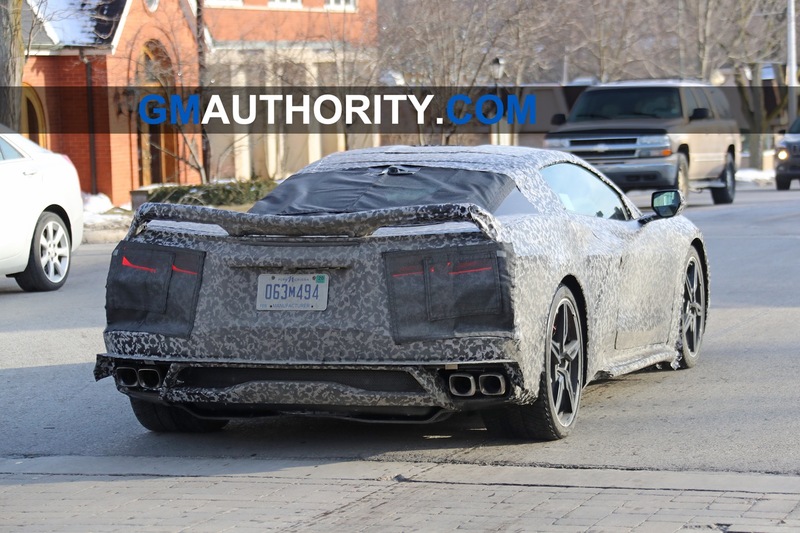 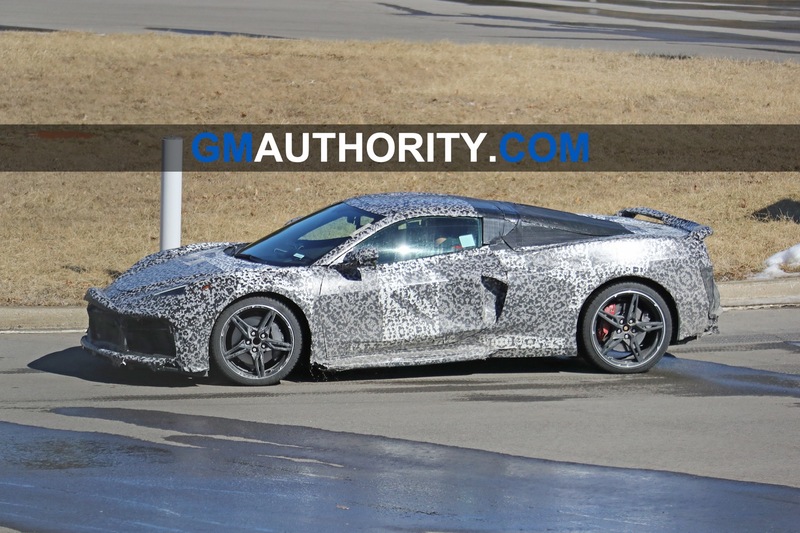 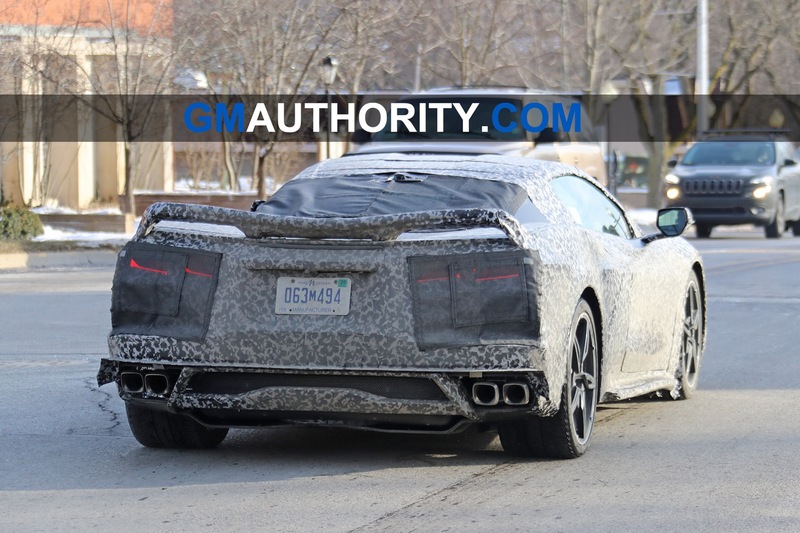 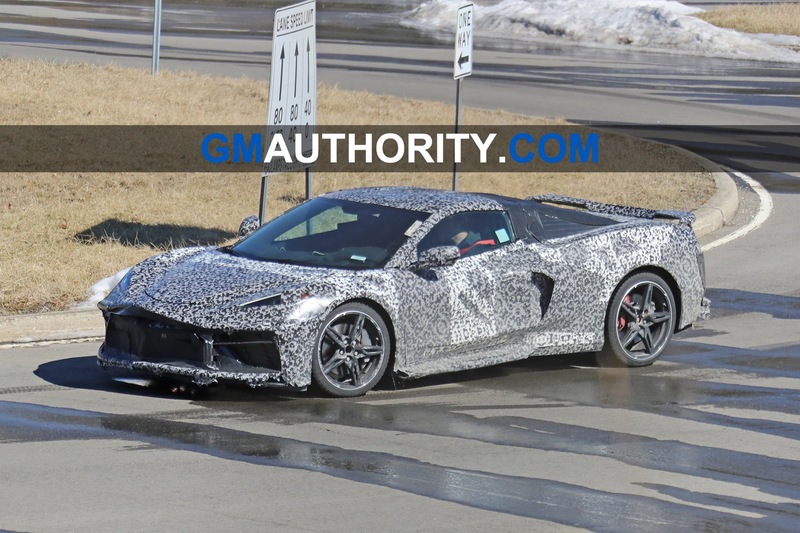 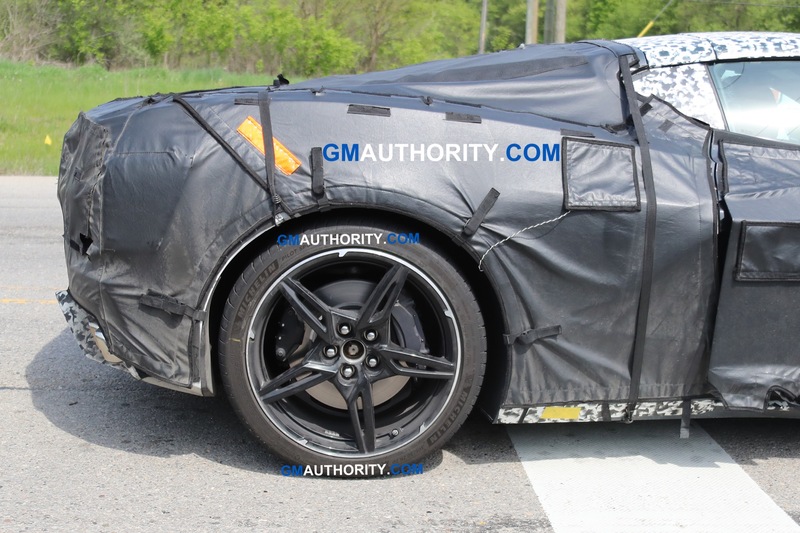 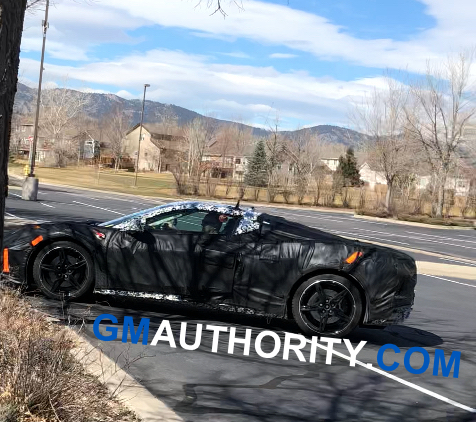 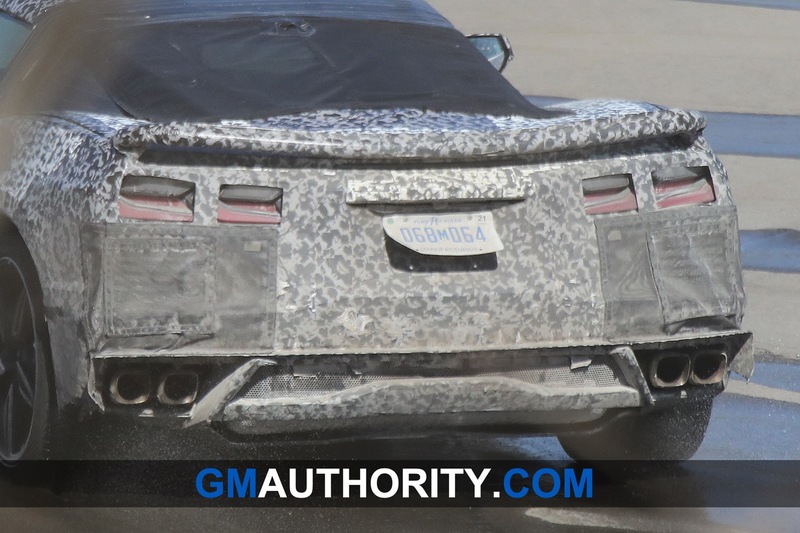 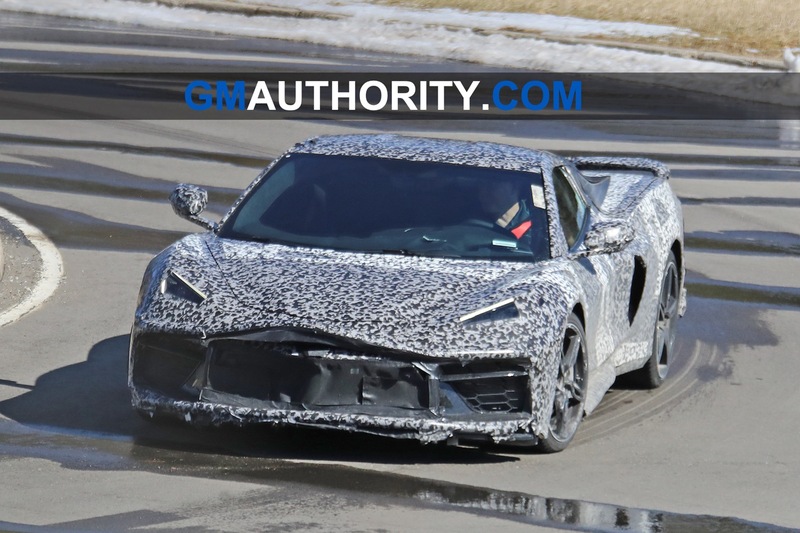 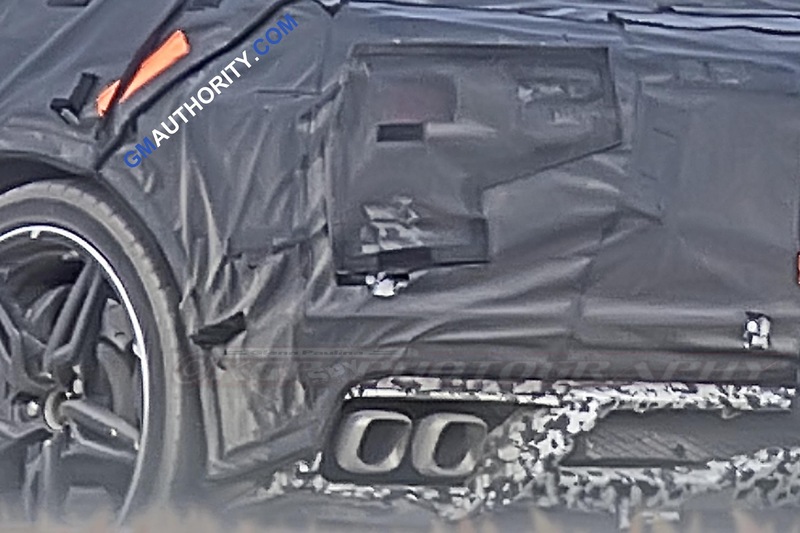 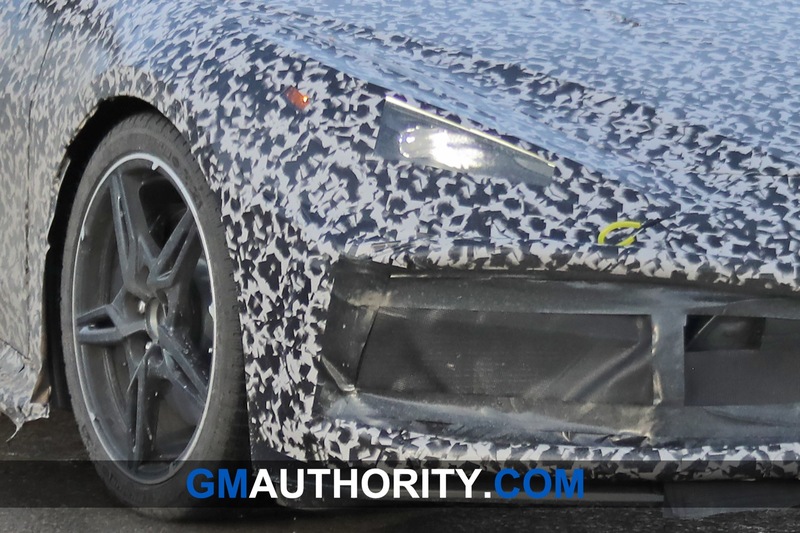 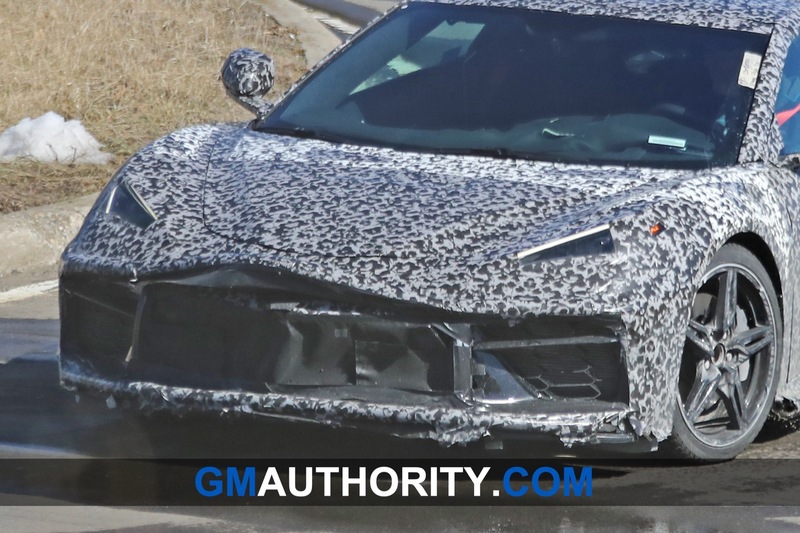 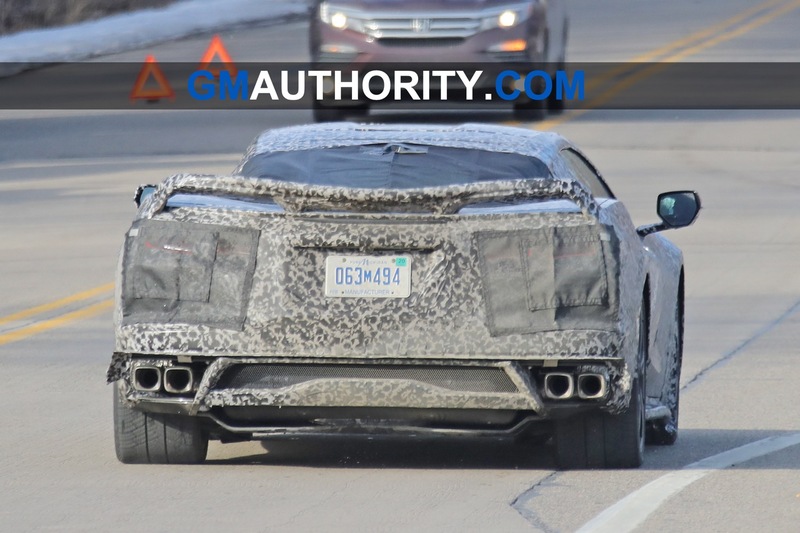 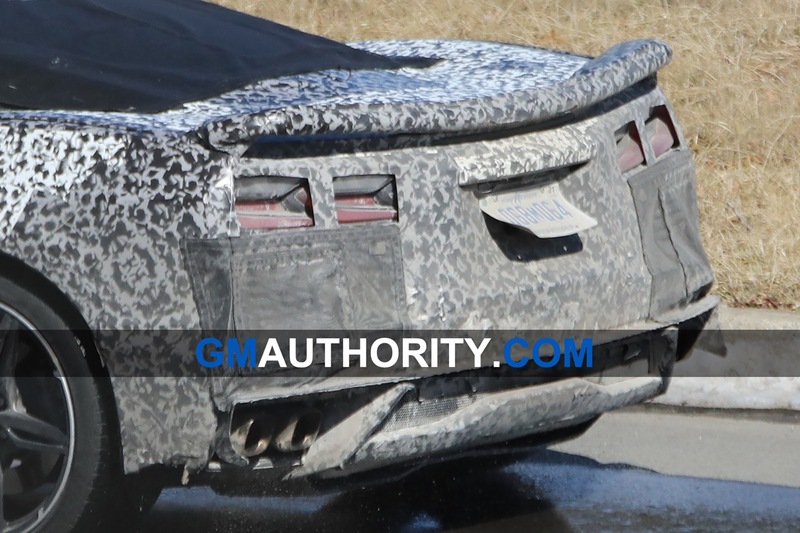 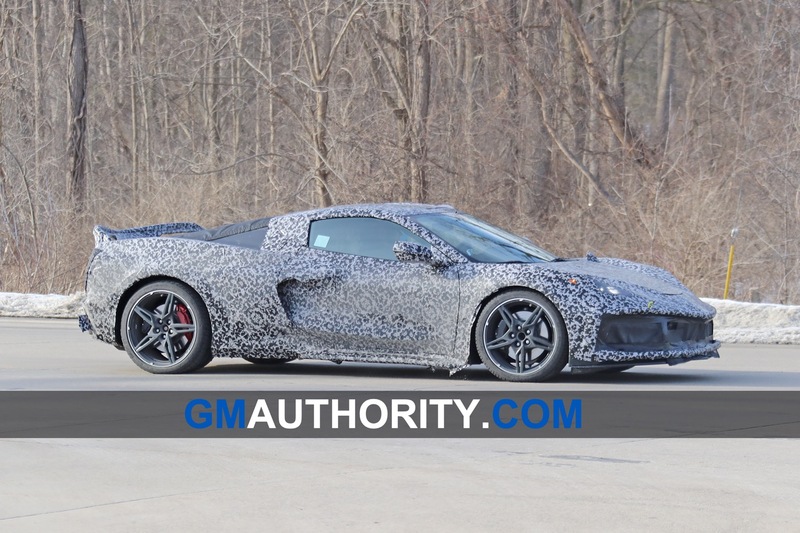 However, what we do know about the mid-engine Corvette – from this and other videos – is that it’s poised to set a new performance benchmark for the nameplate. 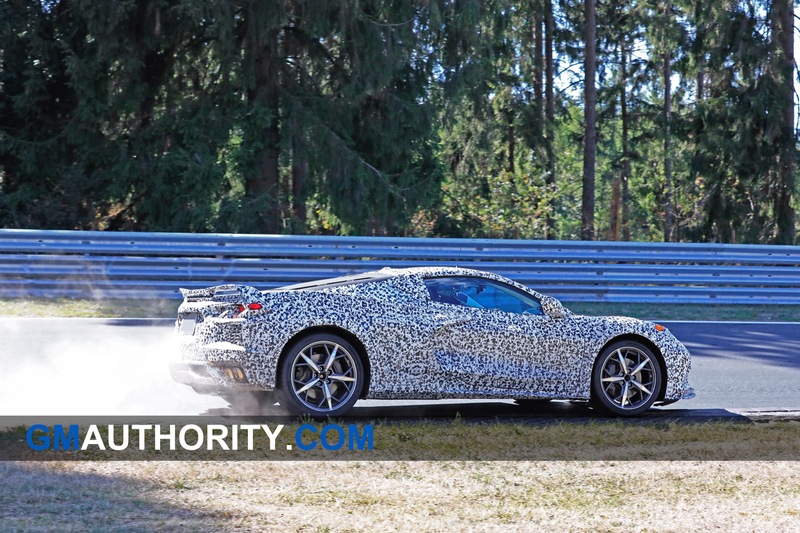 The C8 looks like it has plenty of performance left to give, as despite its impressive speed through every corner, there’s no drama, with not a discernible trace of oversteer or understeer as it makes its way through the corners. 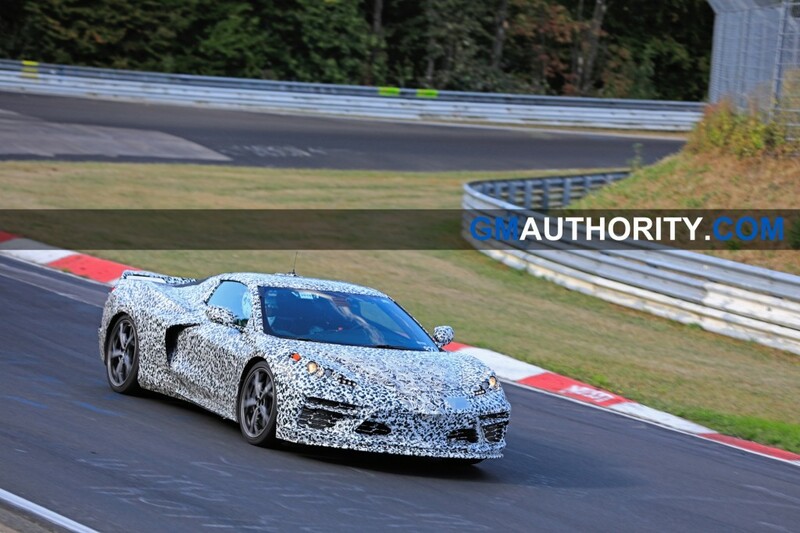 Check out the latest mid-engine Corvette Nürburgring action in the Motor1 video above. 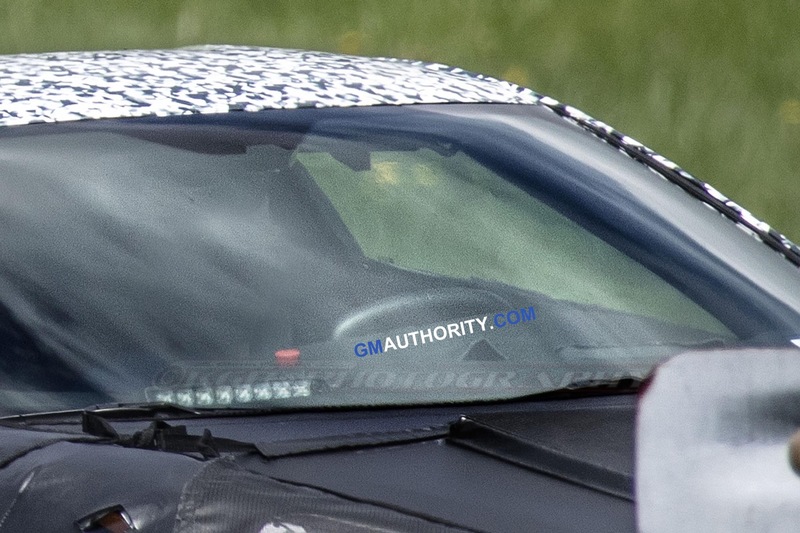 Lack of drama was exactly what I was thinking when watching the video. 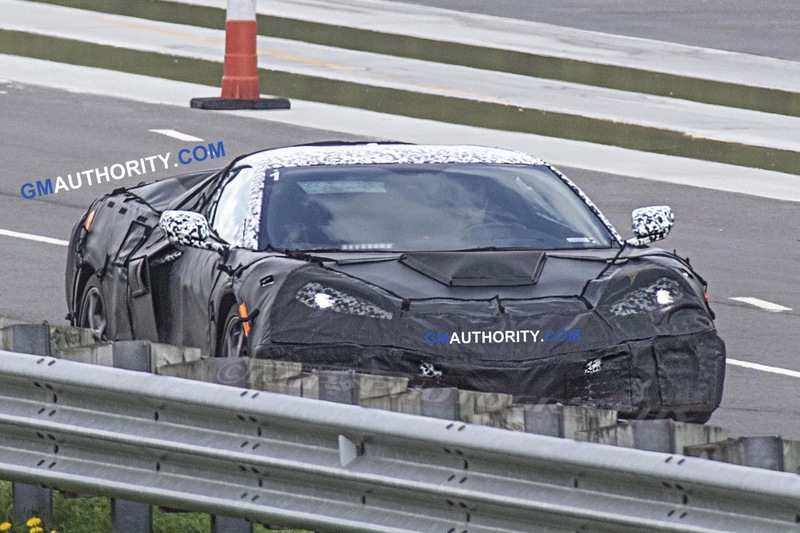 One shot of the car coming from the concrete transition in the corner to the asphalt was very impressive. 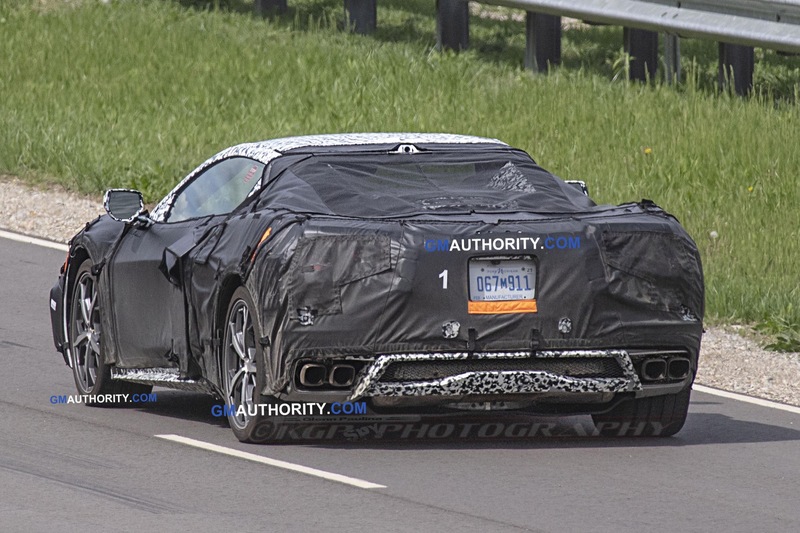 The car is going much faster than it appears. 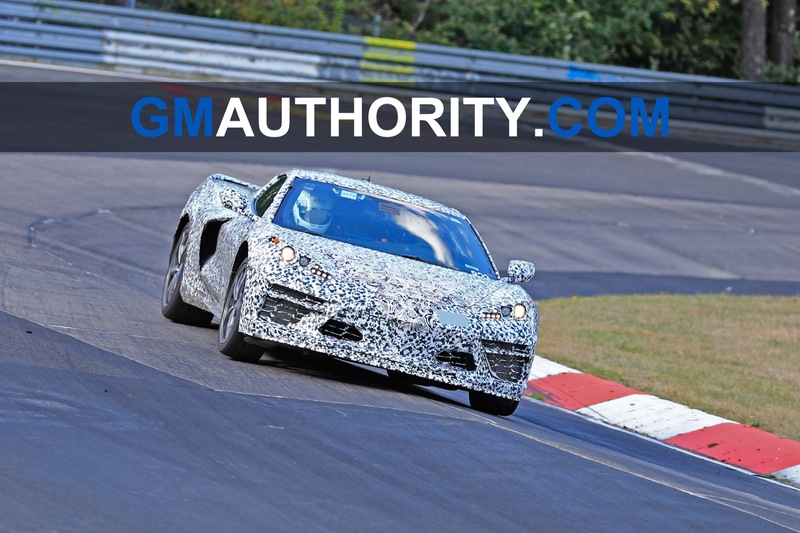 A good handling car will look slow while going fast if it is done right. 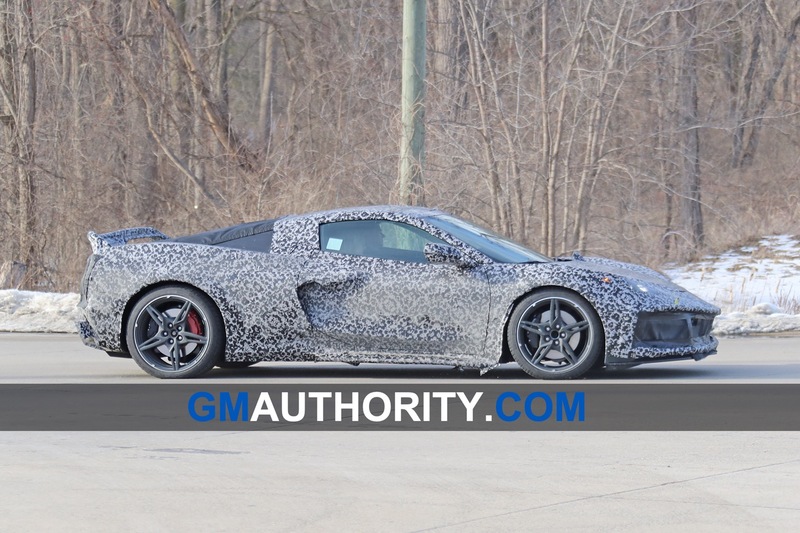 Note in all these shots the lack of real tire noise. 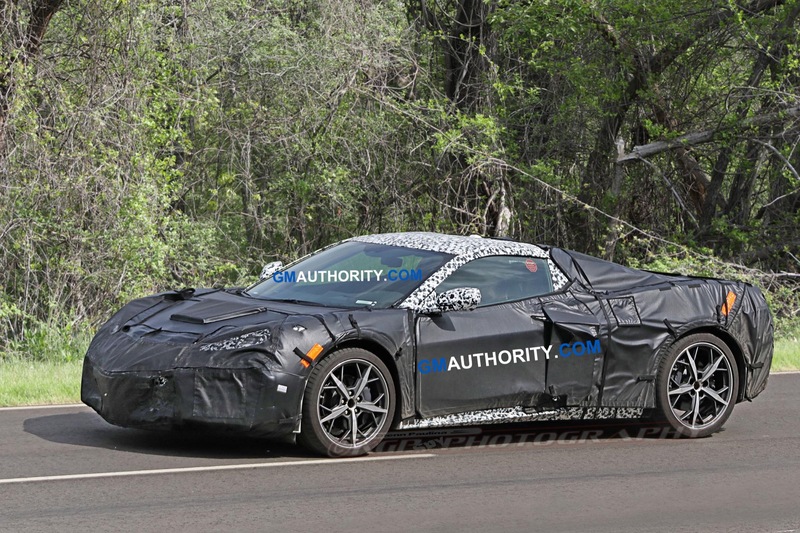 This being the base car is impressive as it will only get faster from here. 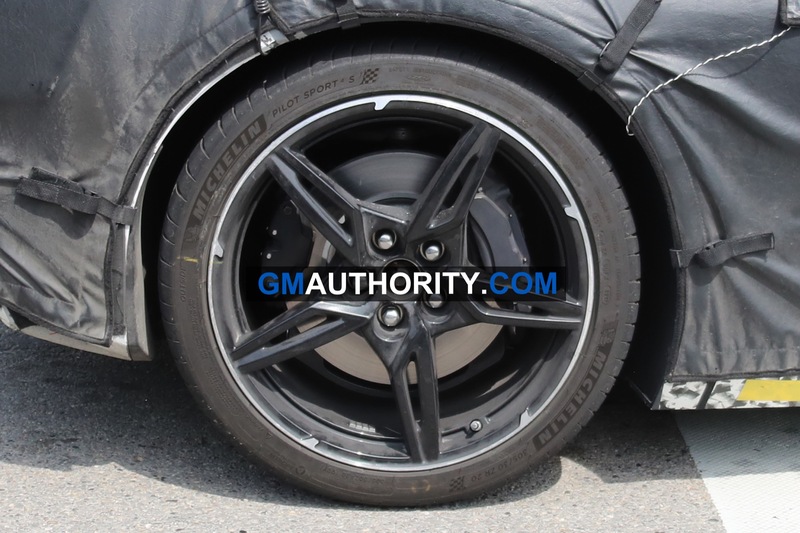 I would like to know about the suspension as it is for sure a variable controlled suspension. 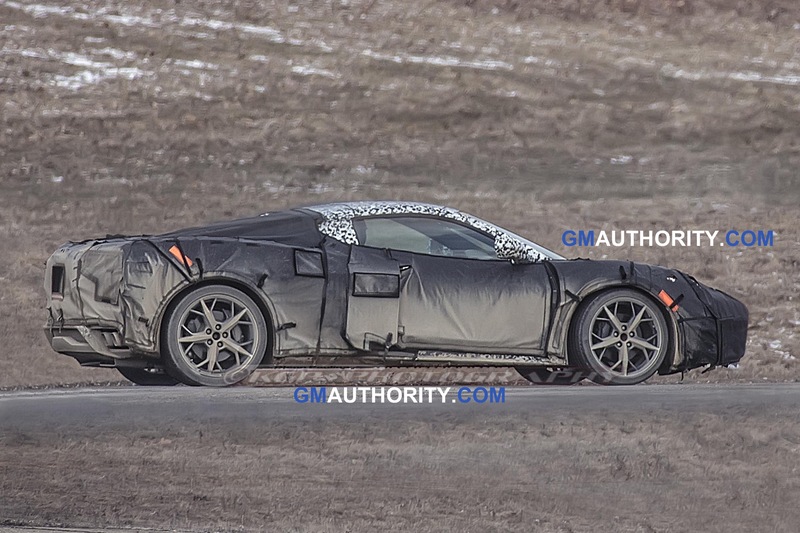 It appears more do than the present one. 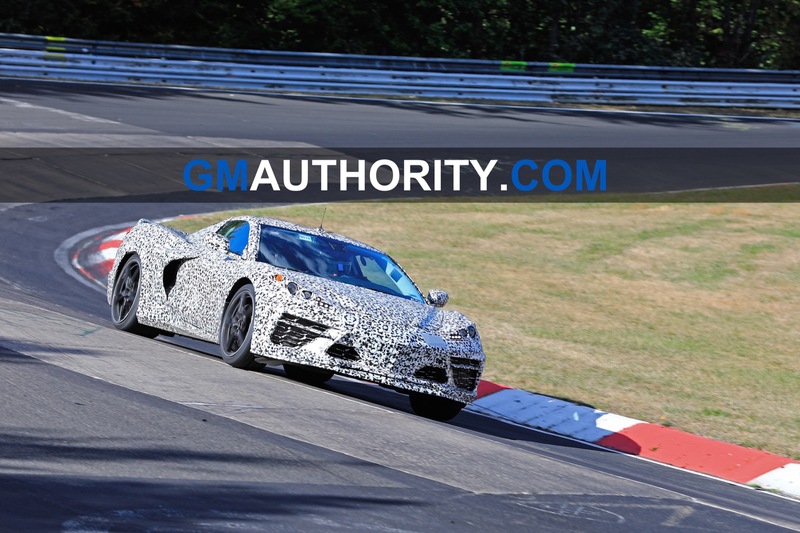 I really hope the car debuts with its new engine, be it a 5.5 TT V8 or whatever, in place. 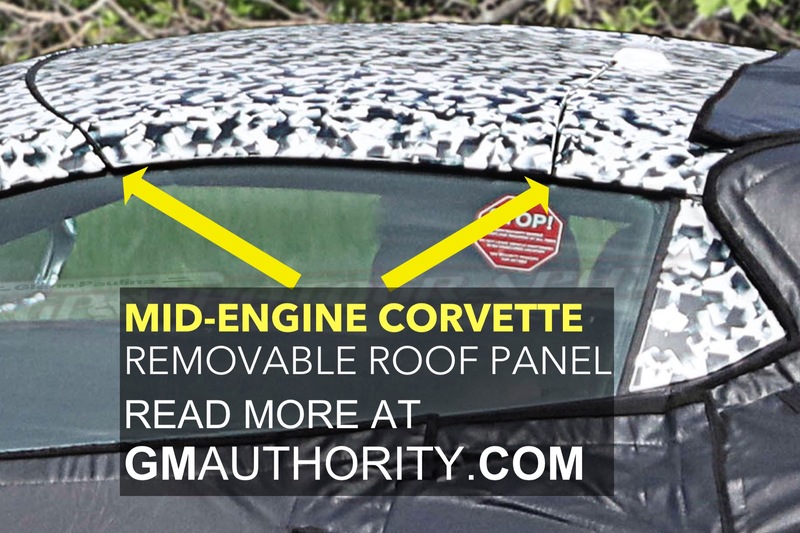 There have been far too many promising GM products that ultimately failed in the marketplace because their engines weren’t ready and a stop-gap power plant was used at launch. 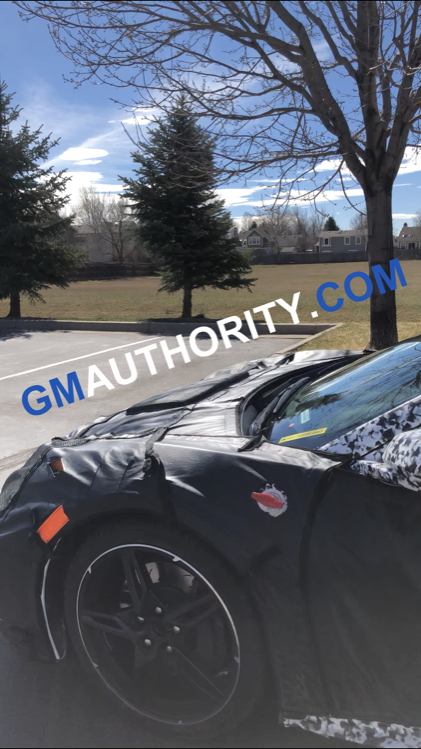 What then happens is the car gets ho-hum reviews, doesn’t sell at anticipated volumes, starts being heavily discounted and is looked upon as a failure. 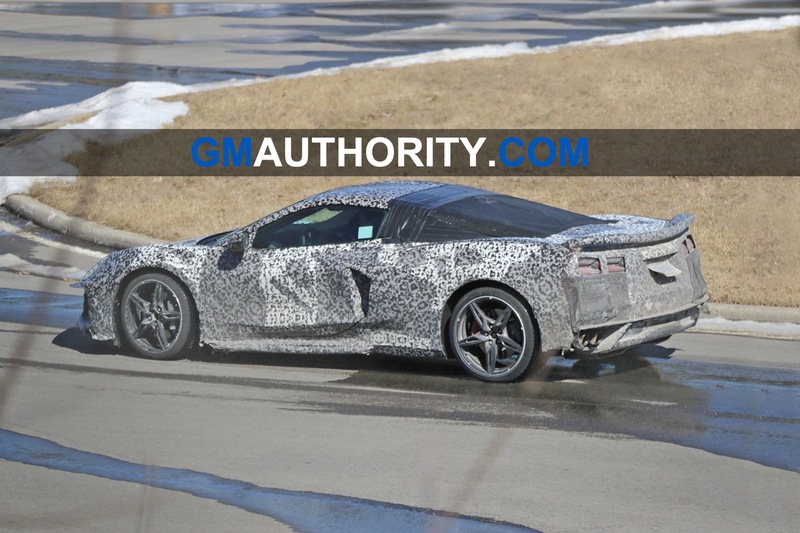 Then GM drops a terrific engine in it that was intended from the beginning and transforms it but alas, it’s too late. 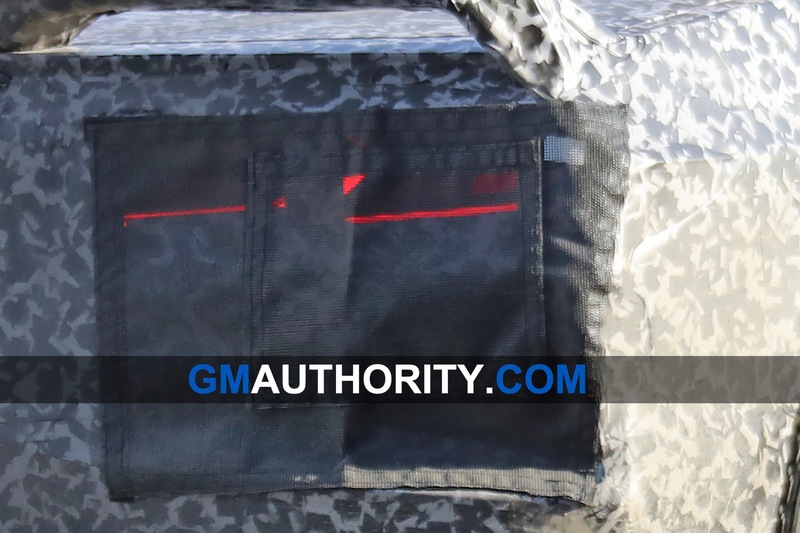 The public hardly notices, the rest of the product is stale by then and the product is ultimately discontinued. 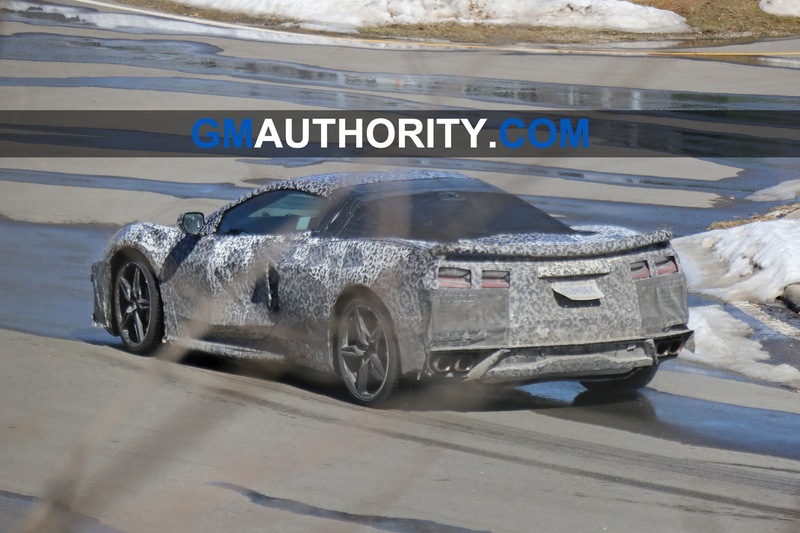 Please GM, don’t launch this car with a carryover LT1 pushrod engine. 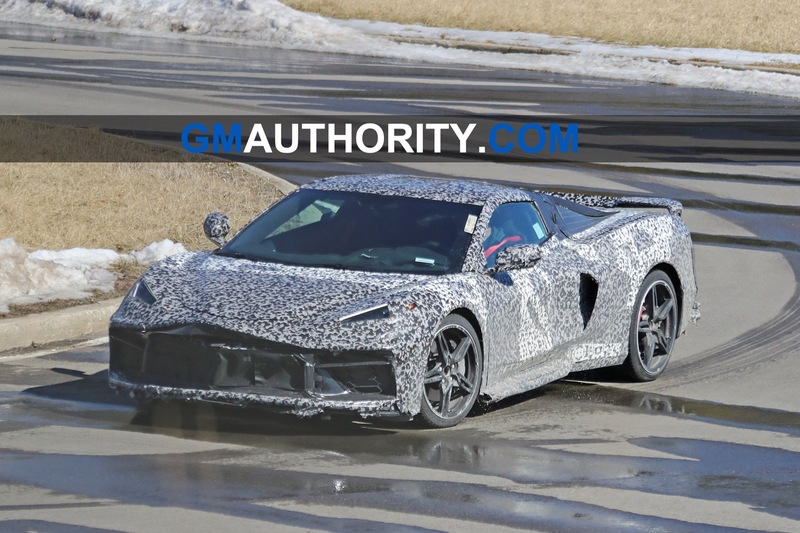 The world has waited 50 years for a mid/engined Corvette. 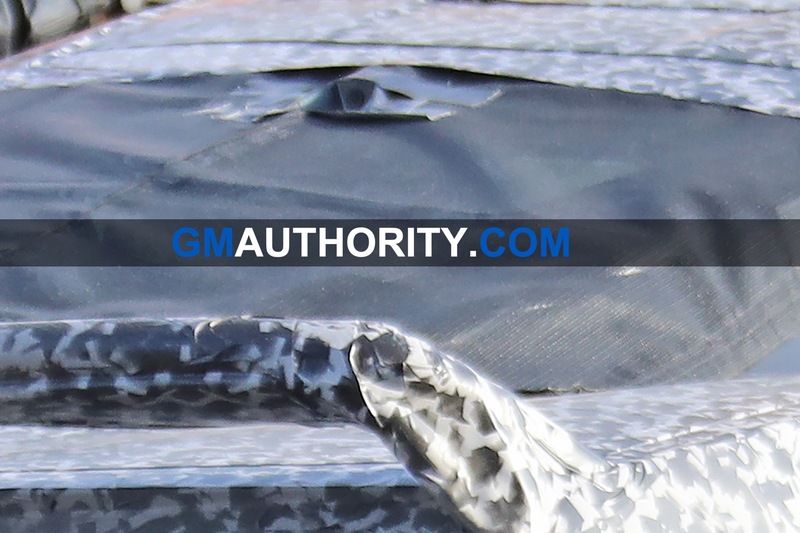 It can surely wait until you can get the whole package right. 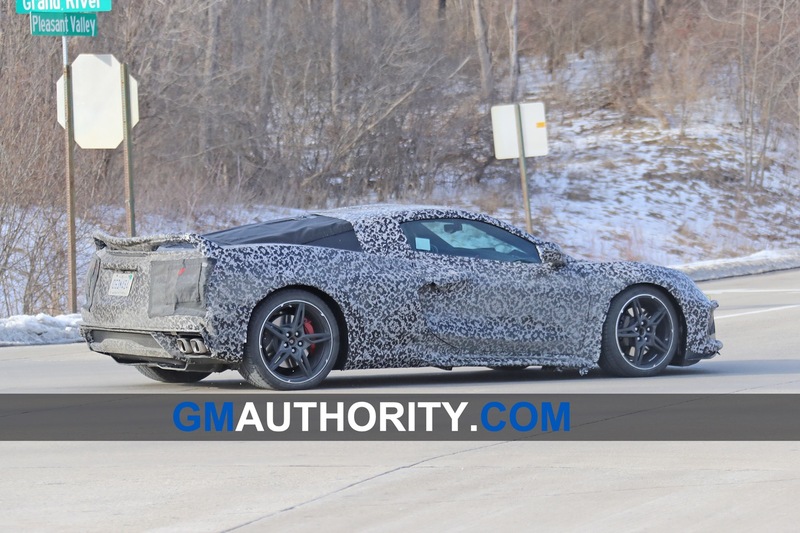 In order to keep the new Corvette within the far reaches of the middle class consumer, I think you will see some form of pushrod engine in the base model to keep it affordable. 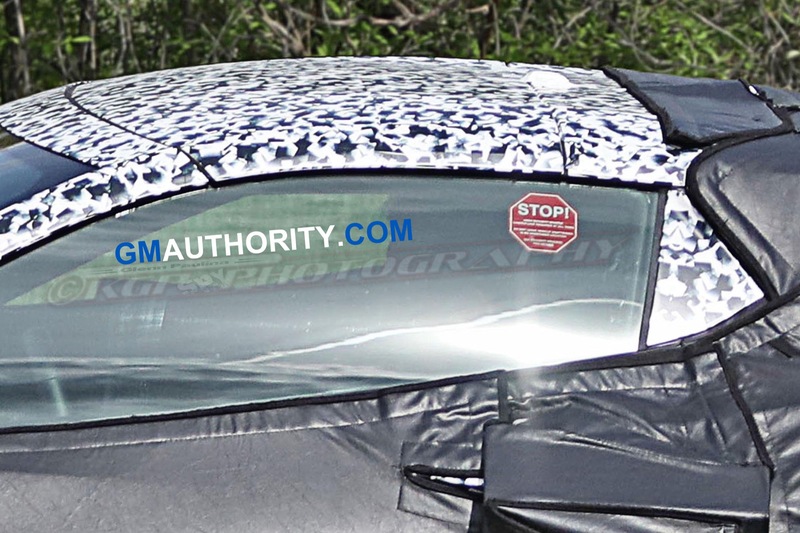 It won’t diminish this car in the least. 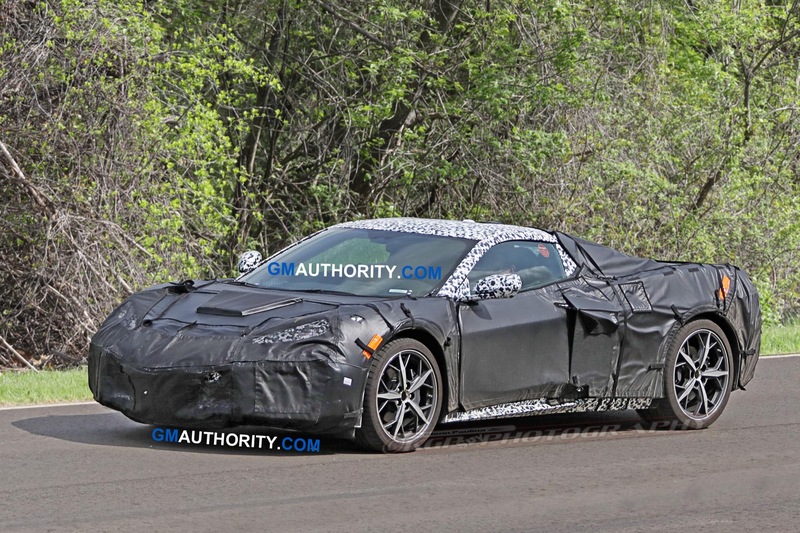 The small block V8 in whatever generation has always been a beautiful motor. 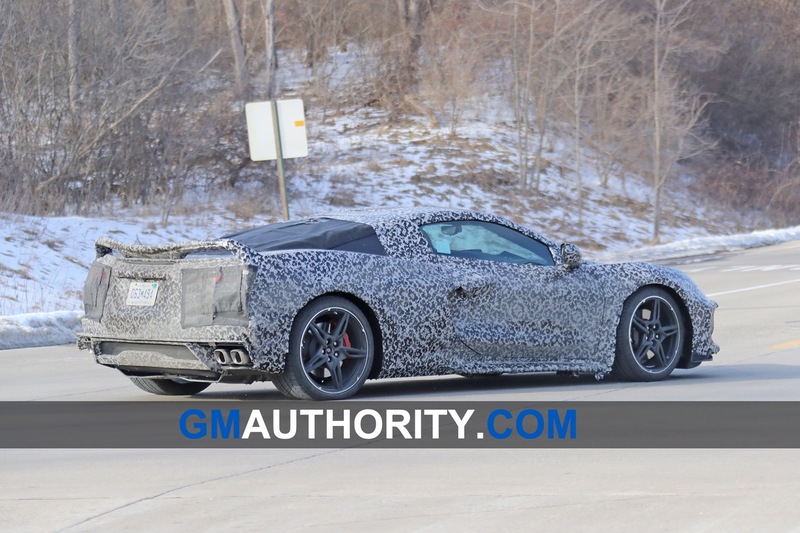 Think something along the lines of a modern LS7 and all would be right in the Corvette world. 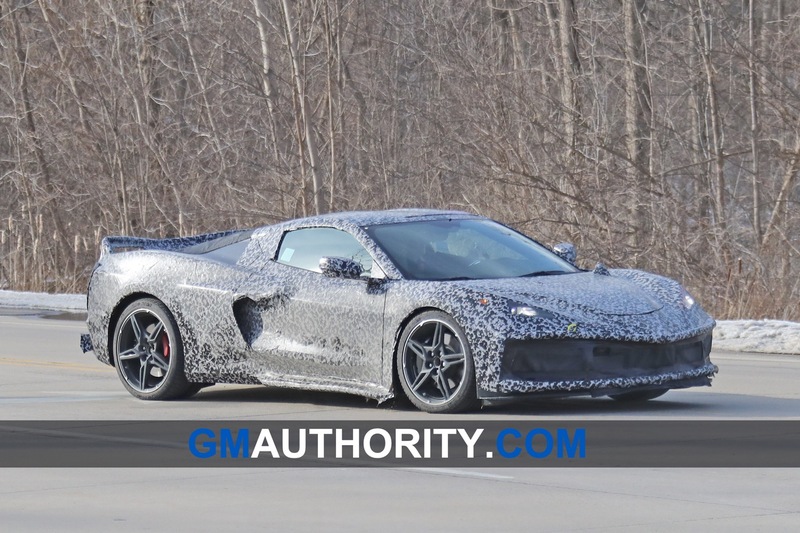 Why handicap the Corvette to the middle class? 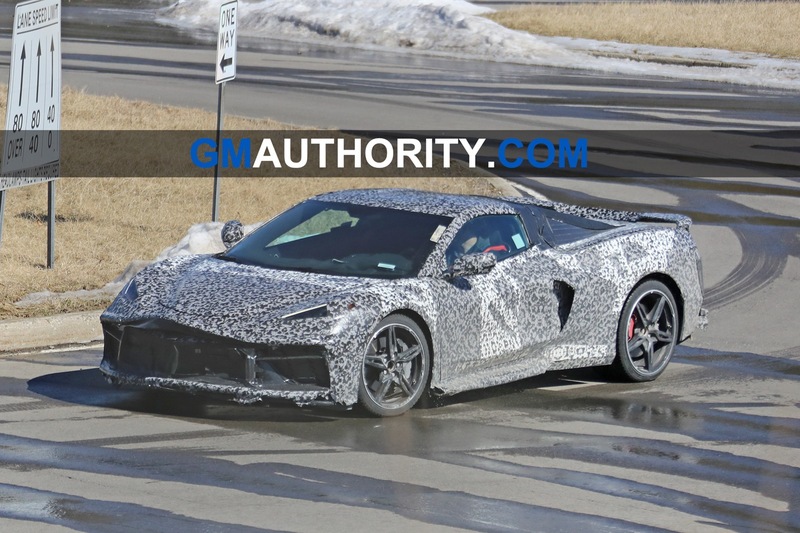 If it’s all brand new hardware, why have the Corvette ‘settle’ for a class that doesn’t have as much disposable income as the upper class? 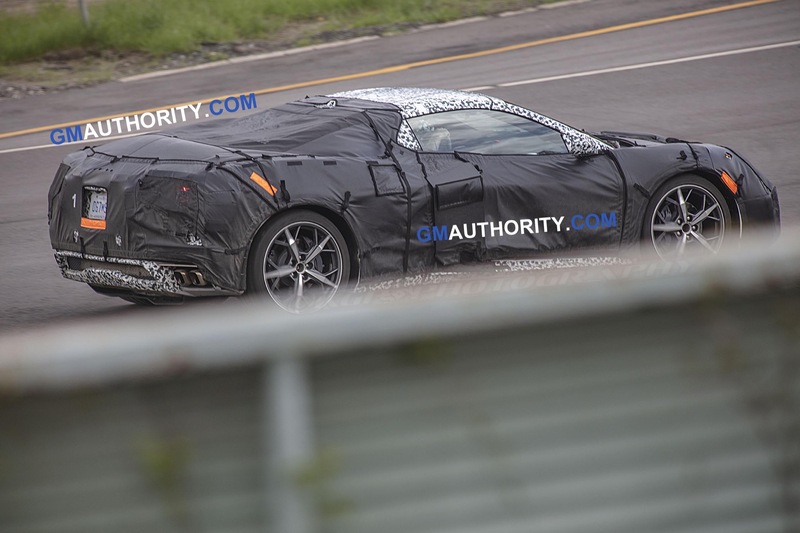 Other sports cars are safely in the upper class, and there isn’t reason the C8 can’t put itself there either. 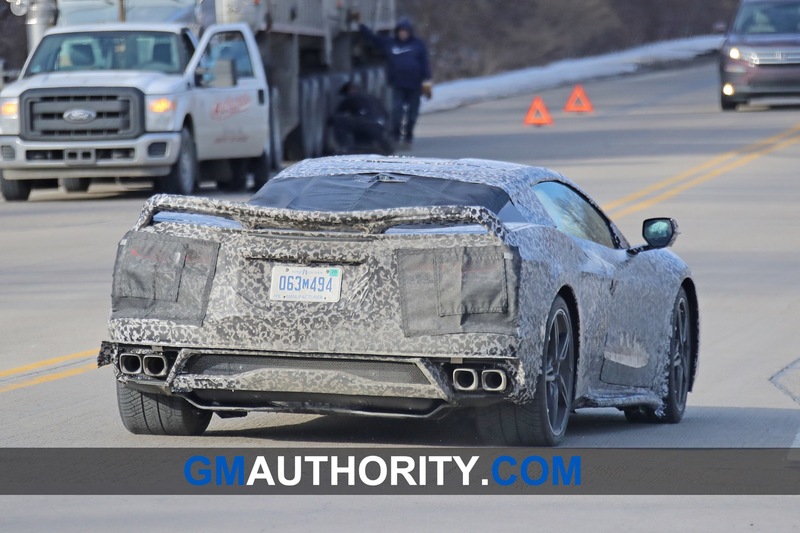 Because those “handicap” sales are what make the Corvette profitable. 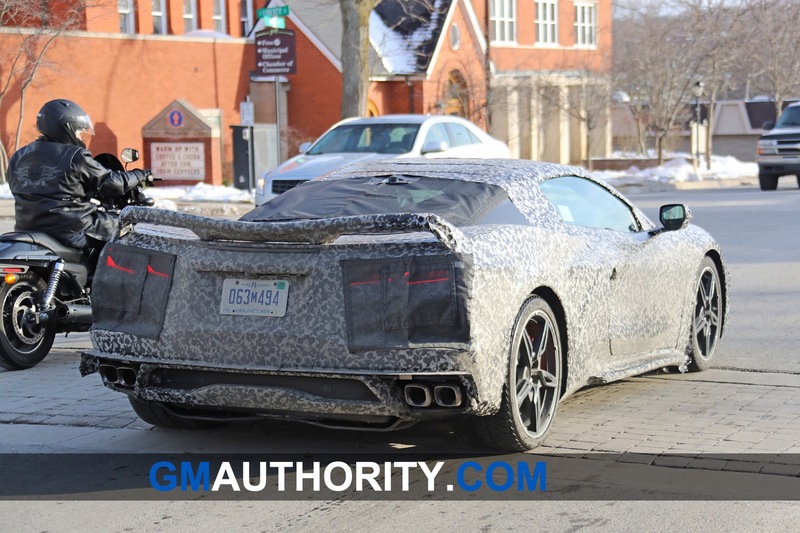 Wrong, trickle down economics. 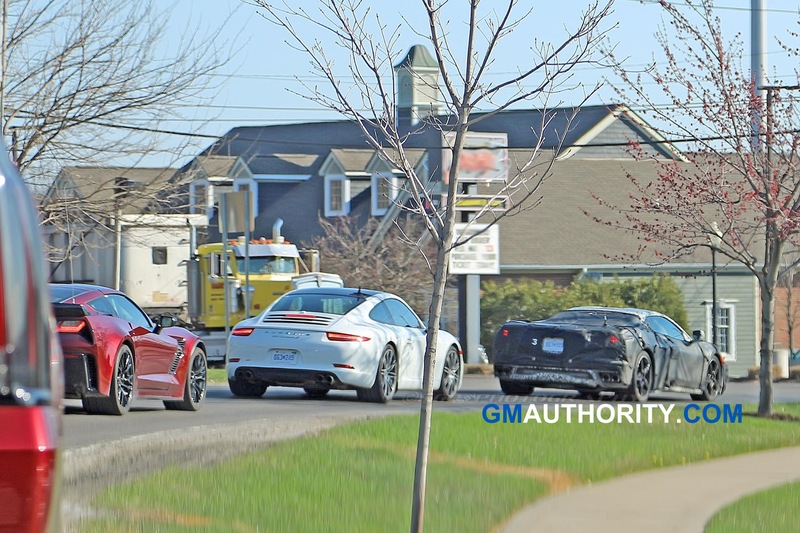 Sad case of corporate business. 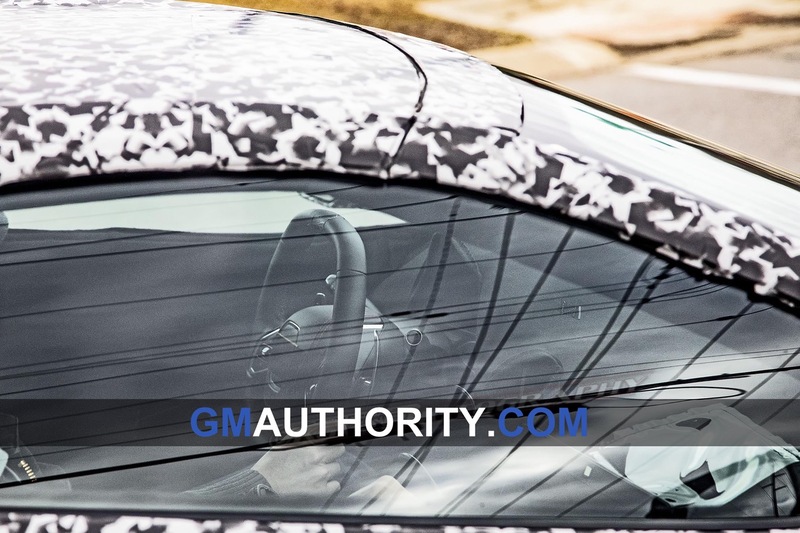 Some people buy the beta version of an iPhone just to be first. 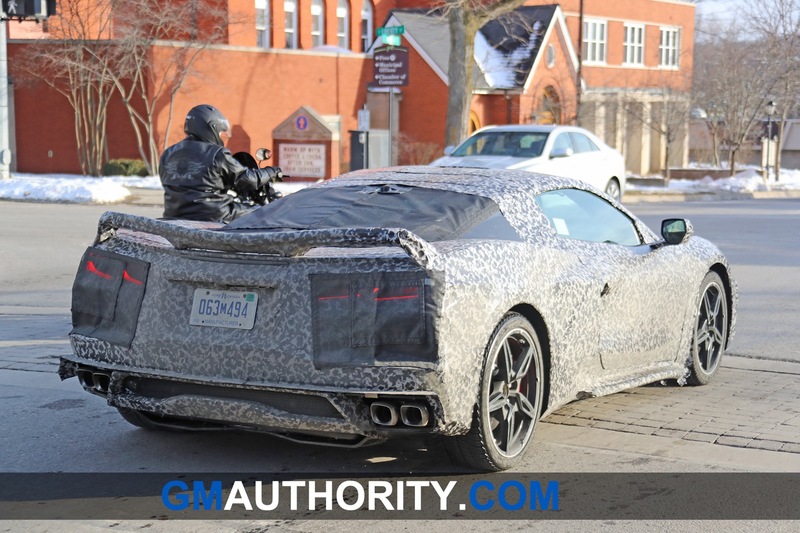 That be you? 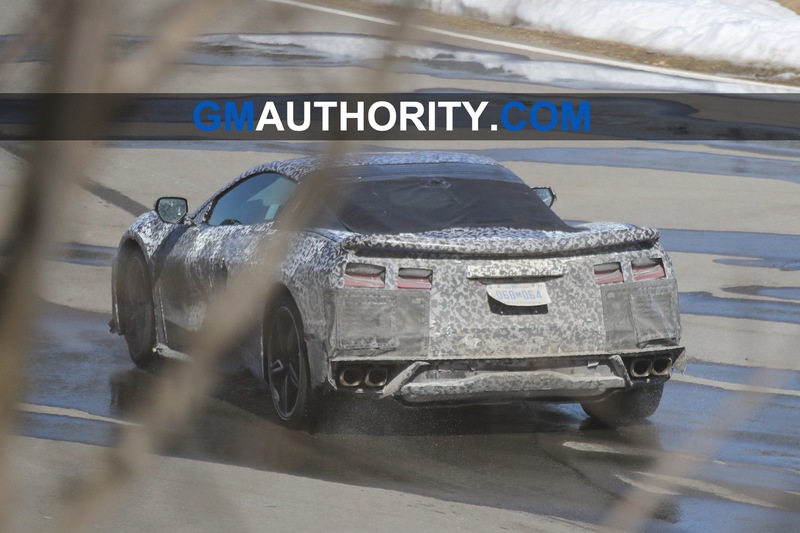 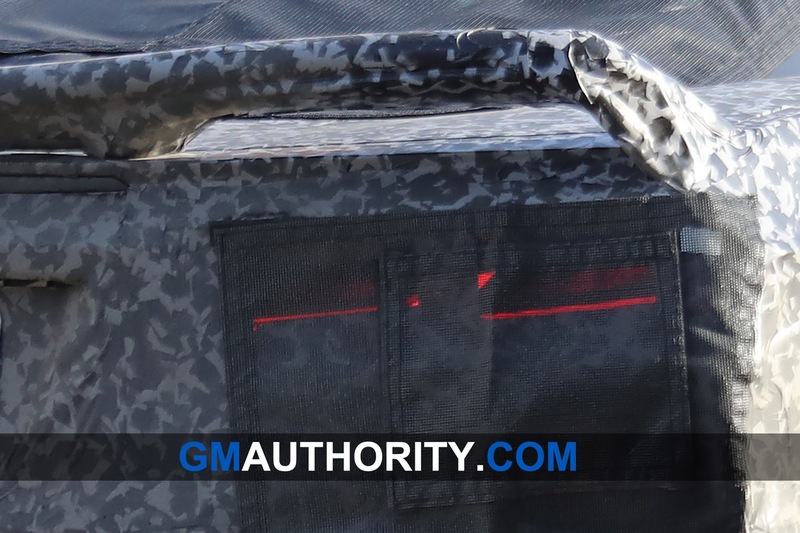 There is not one thing wrong with the LT5 though I doubt it will be first to market. 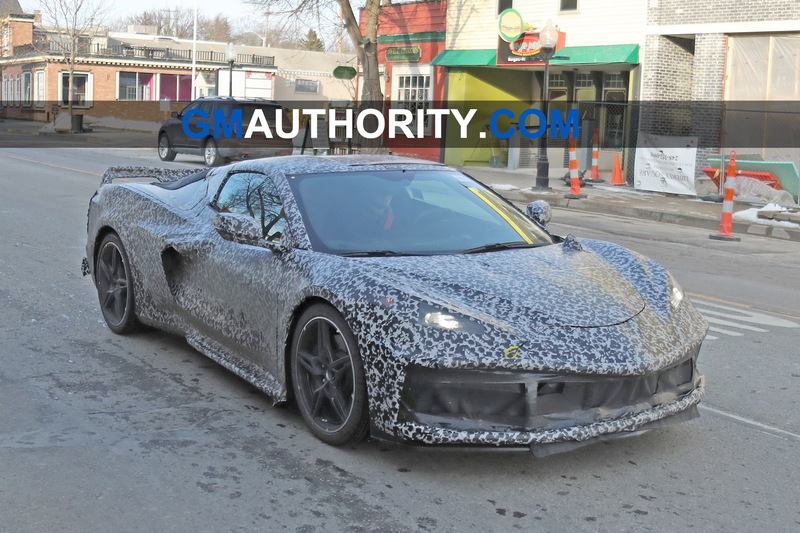 This car looks fast, as scott has stated, the more I see of it, the more obvious it is that the base car is going after the 911. 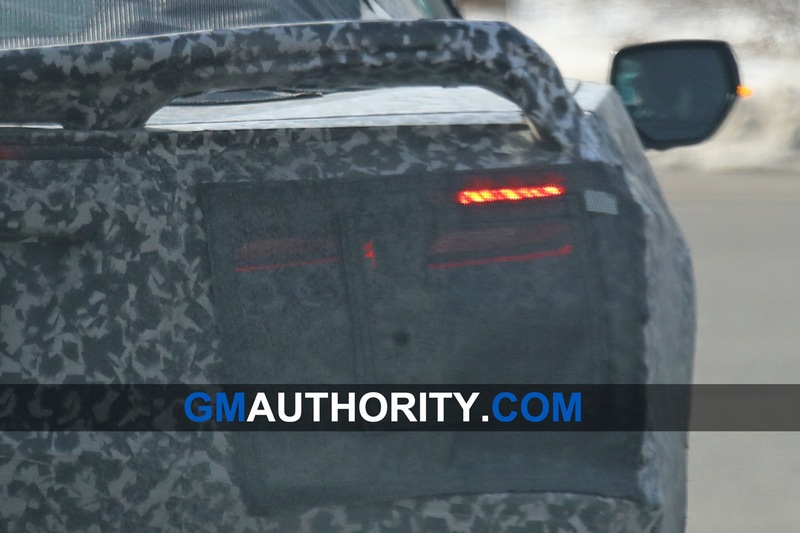 The Alpha, with hybrid front wheel drive, will have it’s cross hairs set on the rest of the world! 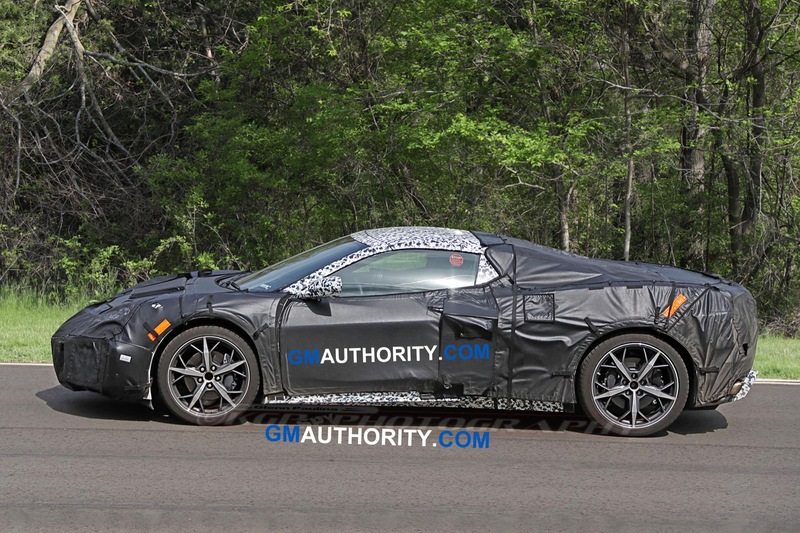 It would be cool if GM made a 383 ci LT1/4/5 For the Corvette and or Camaro, or even using DOHC. 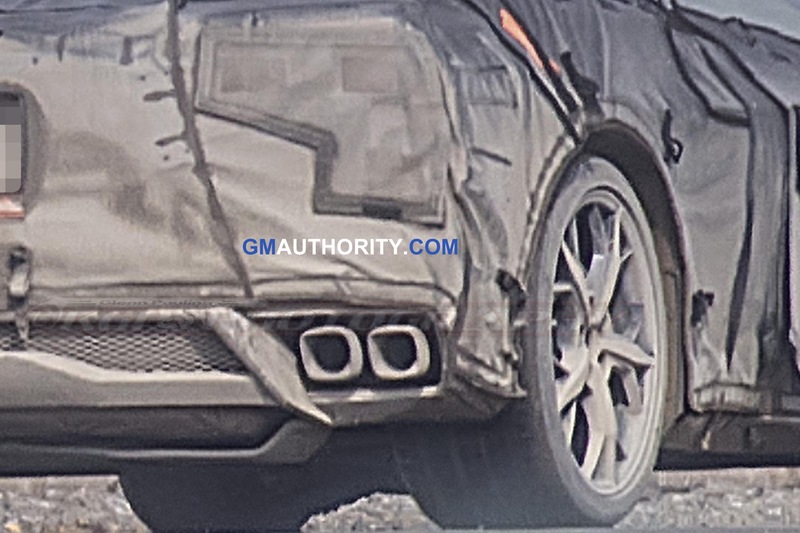 This displacement would be fine for N/A or forced induction. 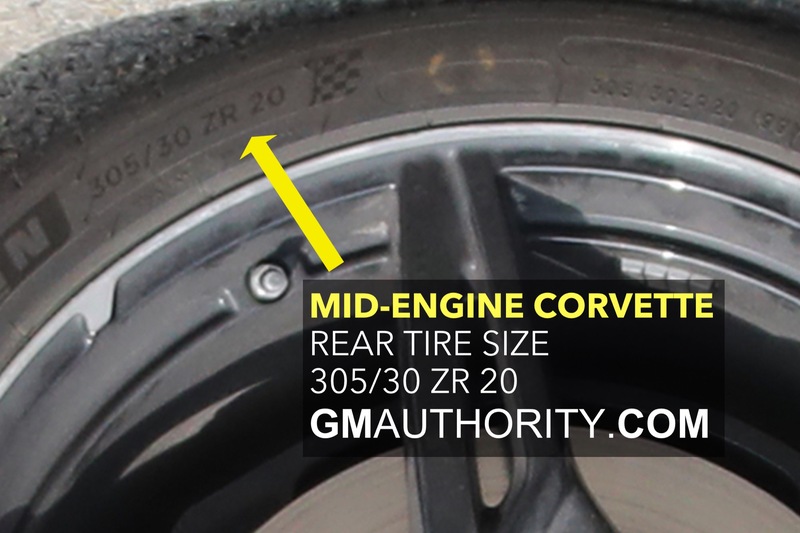 A 93.75mm(3.691 inch) stroke would be the only change(with 103.25mm/4.065inch bore) . 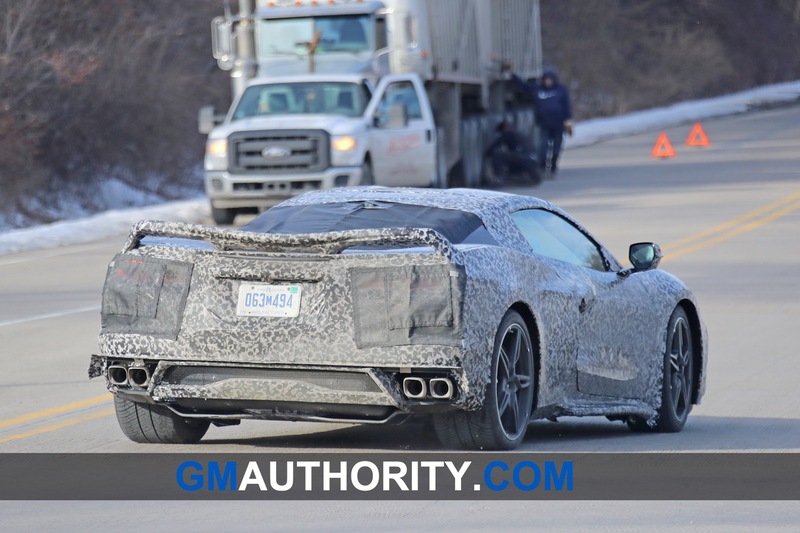 Doesn’t sound as cool but can GM ever do enough! 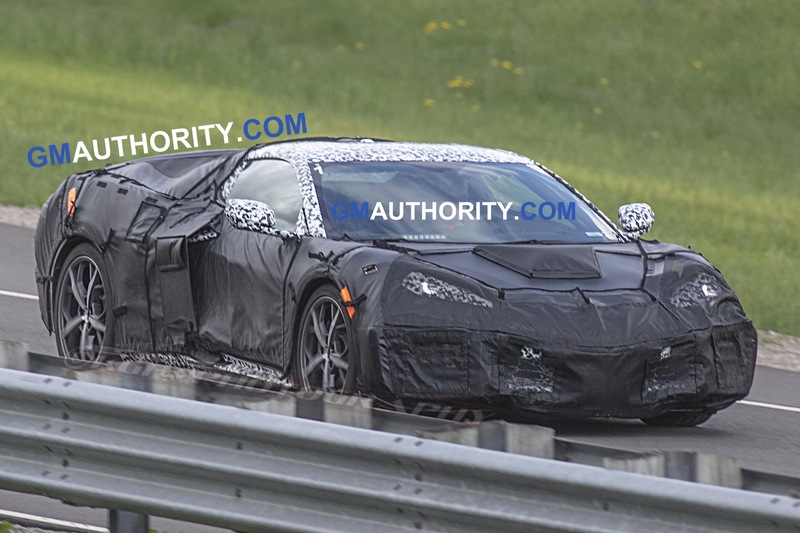 Marketing for the Corvette and Camaro has already capitalized on using cubes in markets where it still matters. 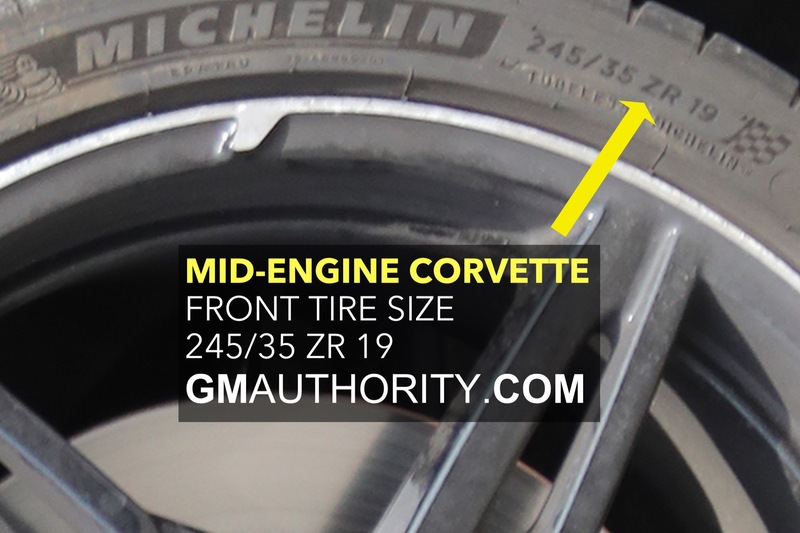 Outside of that, it’s best to leave the engineers to metric as they have been using it for almost 40 years now. 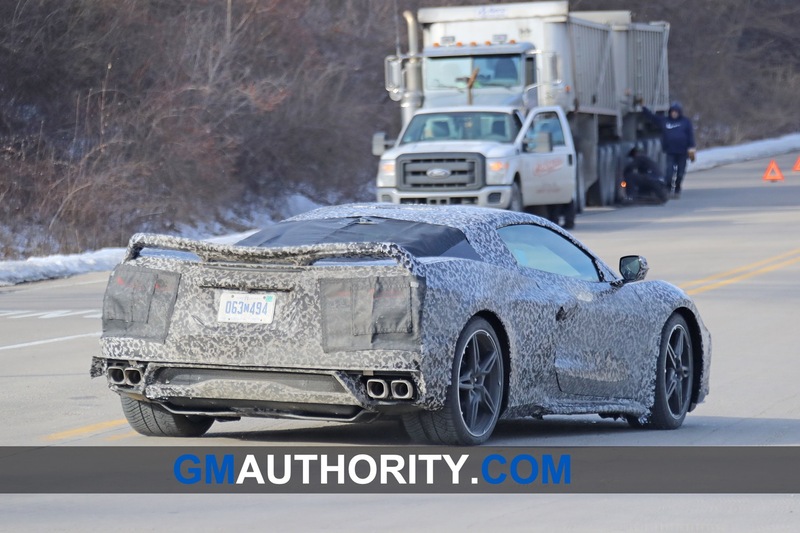 Fair enough 6.3L =383ci, but the C6 Corvette did have a 427(actually rounds up to 428ci) Edition. 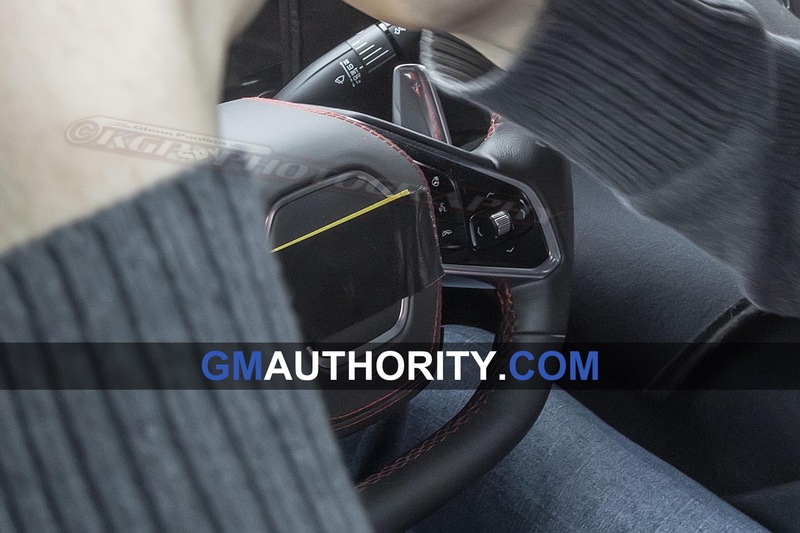 I didn’t say any thing about rounding up or down, I said closest 10th. 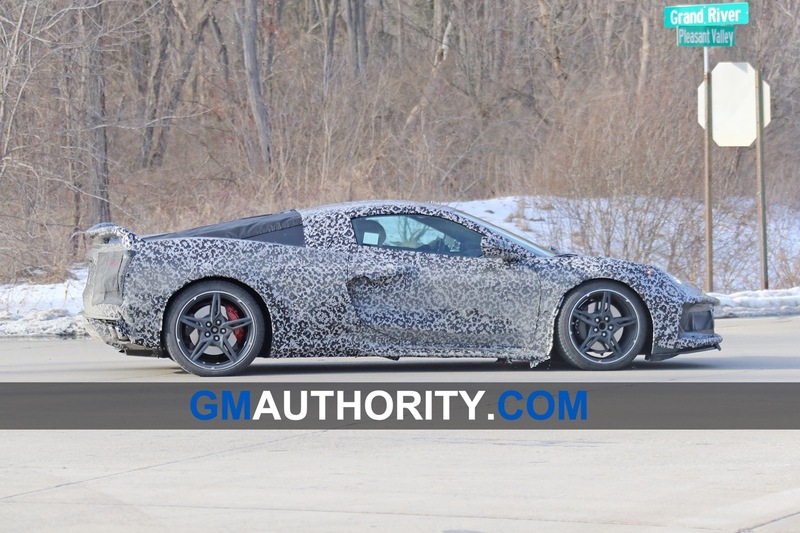 and you are correct! 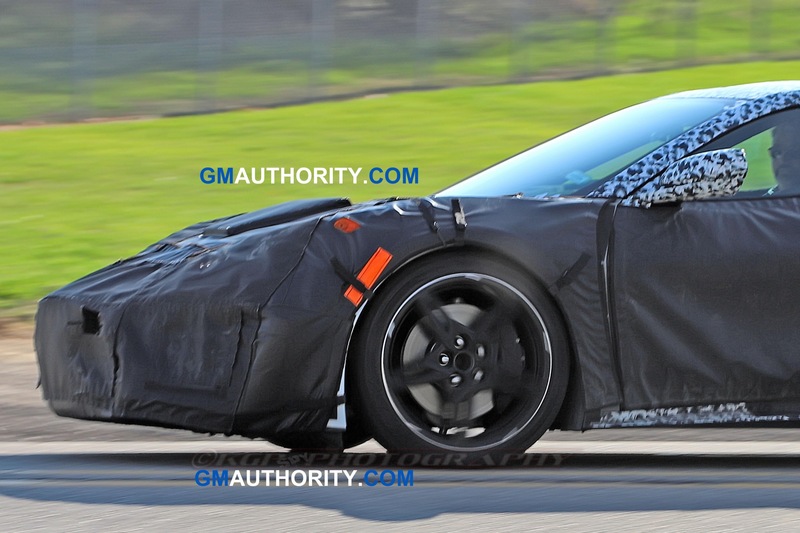 Big difference between 7 ci (.875 ci per cyl.) 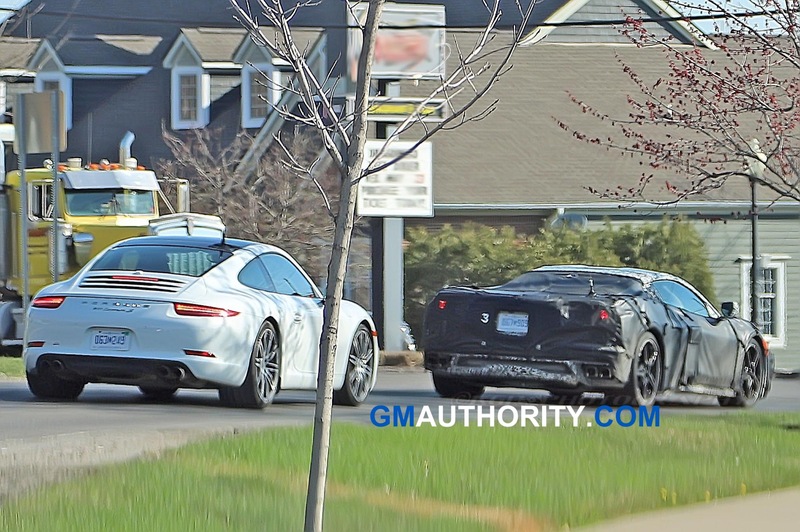 376 vs 383 and 8/10th of a ci. 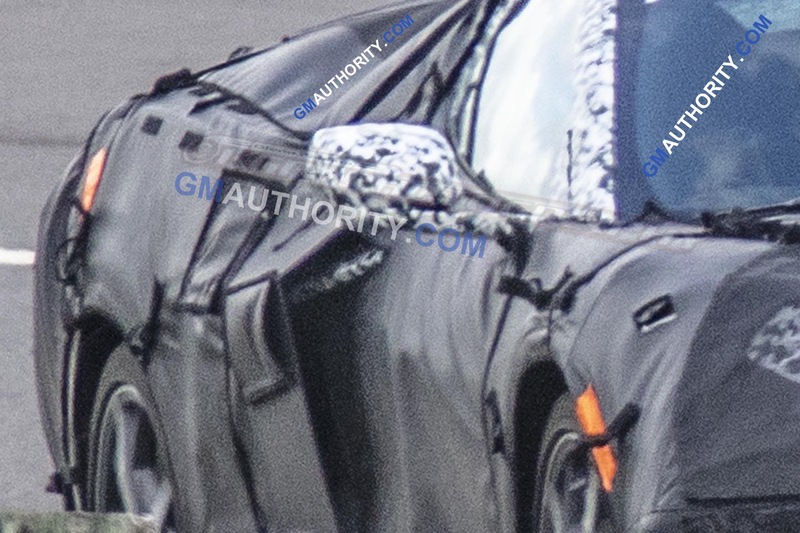 (1/10th ci. 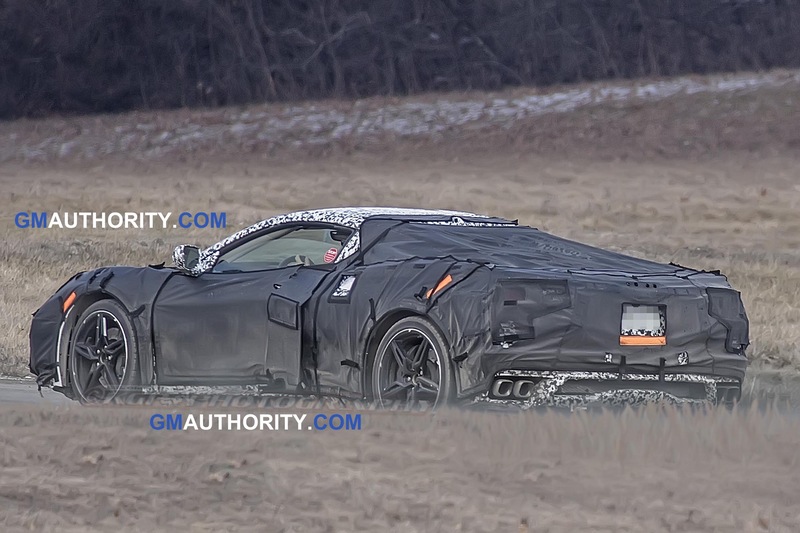 per cyl.) 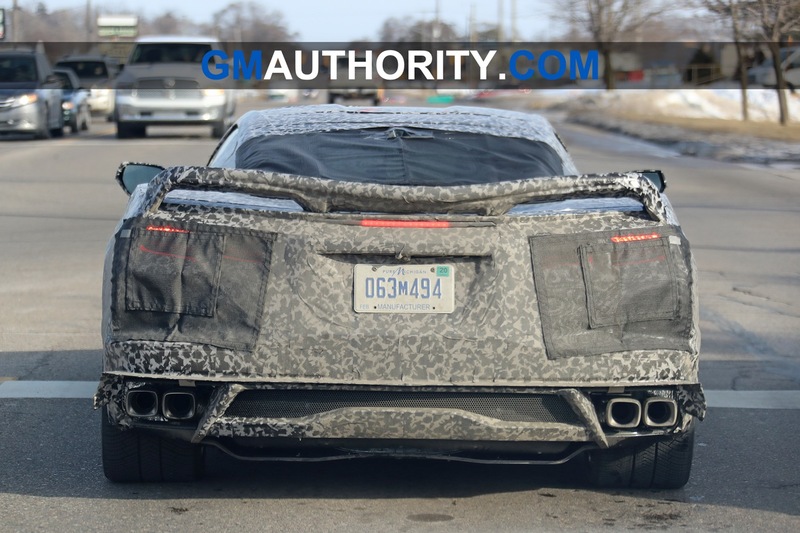 for the 427, i’ll call it the 427.8! 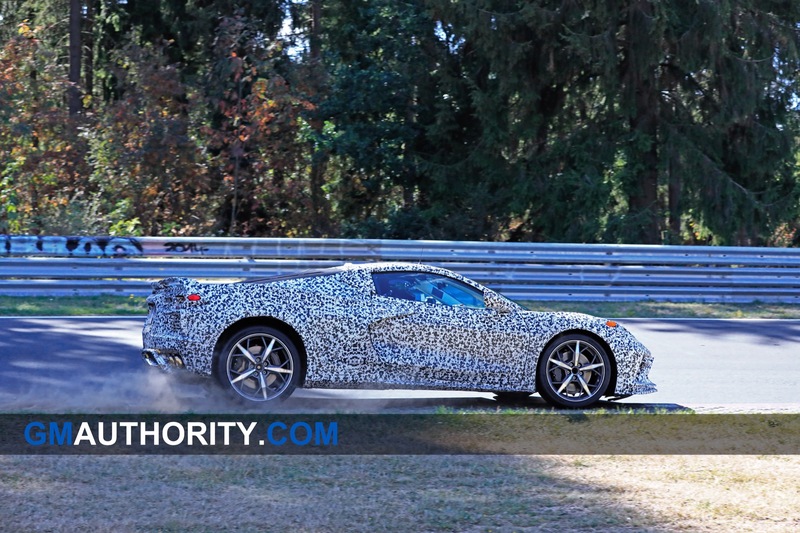 Don’t forget, this is your pet, not mine. 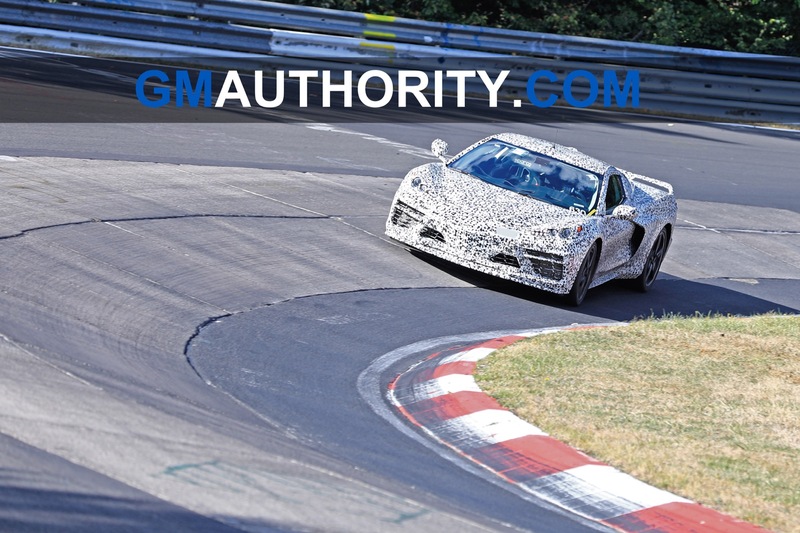 Did you know in racing the displacement is always less then where production engines can be either? 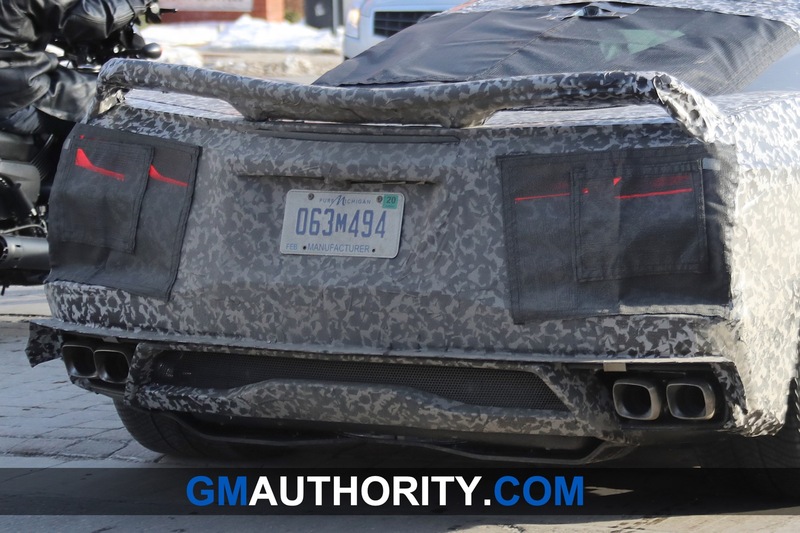 care to guess why? 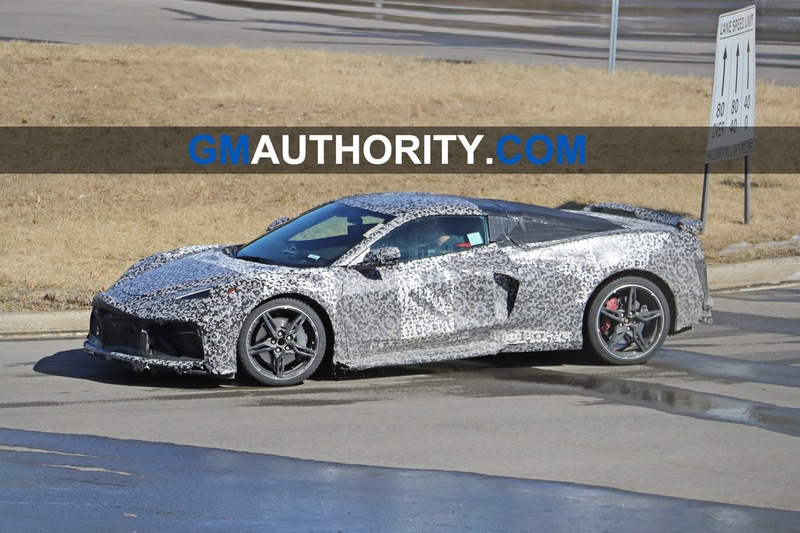 You want to take it to milliliters? 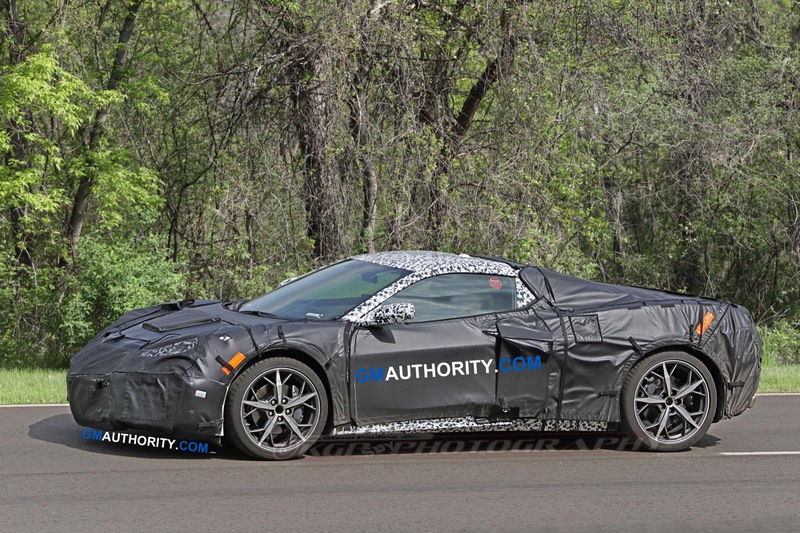 ok, how about 784.53125 milliliters per cylinder or 8X784.53125ML! 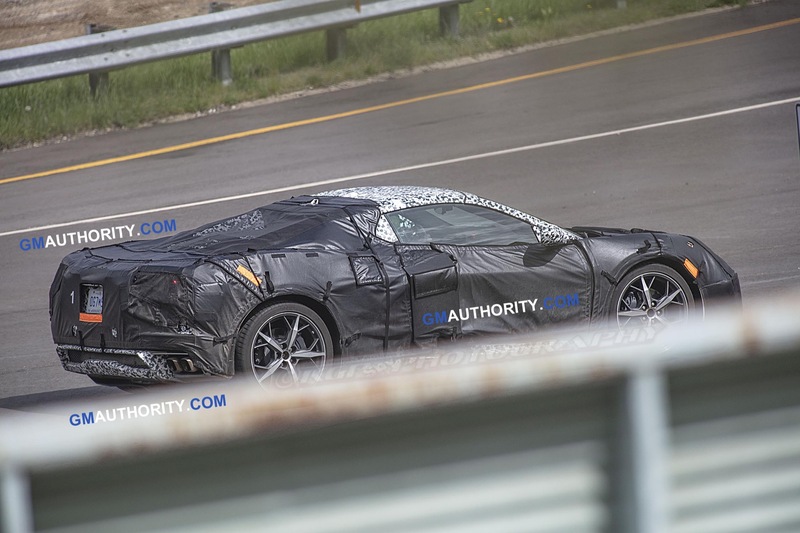 6.276.25ML less 0.01433875ML per cyl. 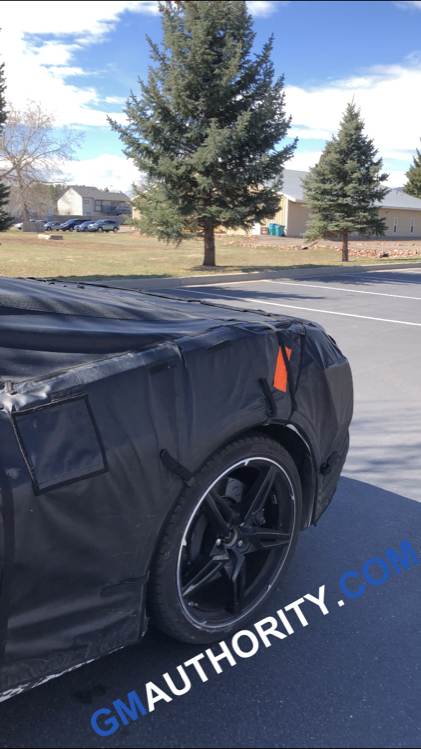 Lest’s go to the closest .10th and call it a 6.3 L! 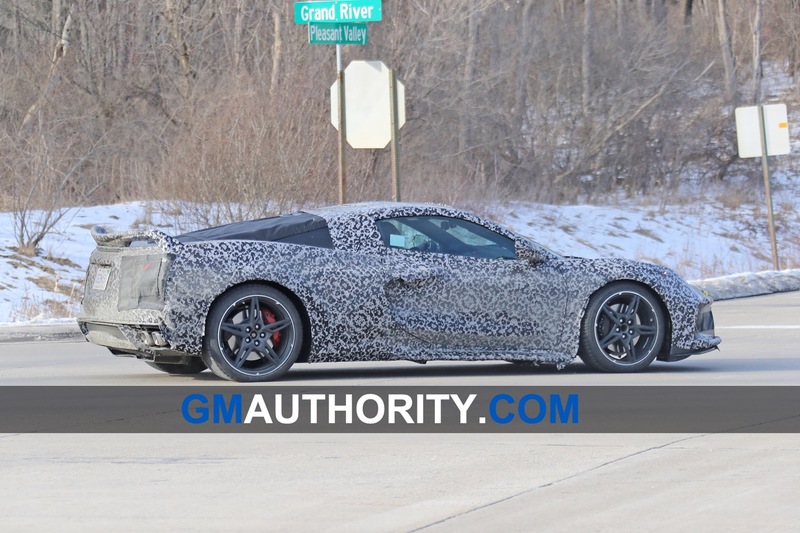 Just enjoy the 755HP/715LB-FT. GM has provided, if you can! 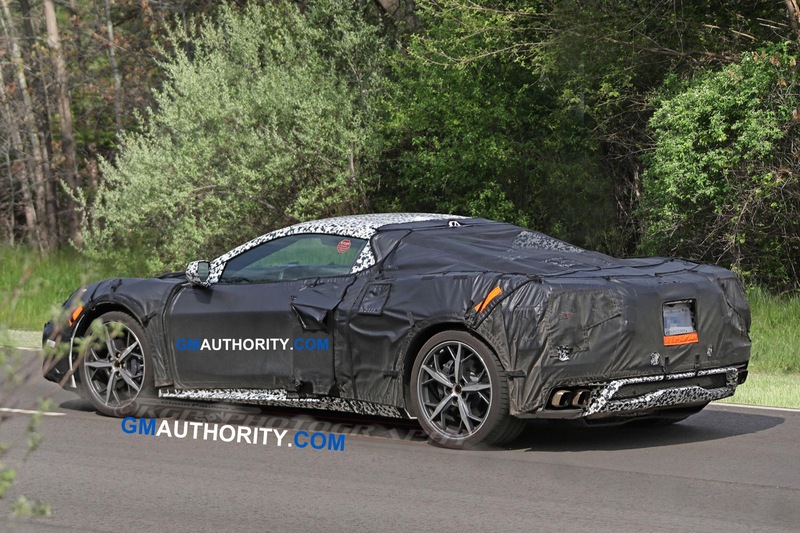 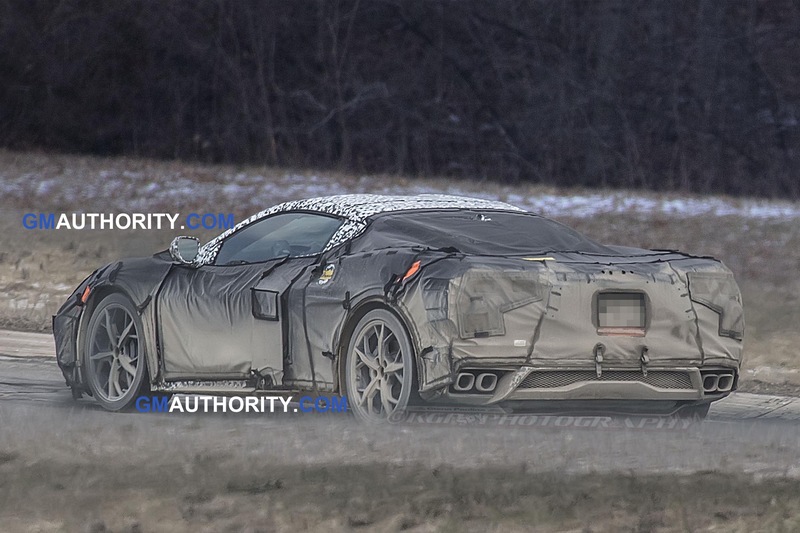 Trying to reverse engineer what possible engine might be in the C8 Corvette is madness as it’s either a variant of the 755 horsepower LT5 supercharged 6.2L OHV-2v V8 (currently used in the C7 Corvette ZR1) or possibly an all new design of some type; the only possible people who might be able to guess are professionals and even then it’s still a big guess. 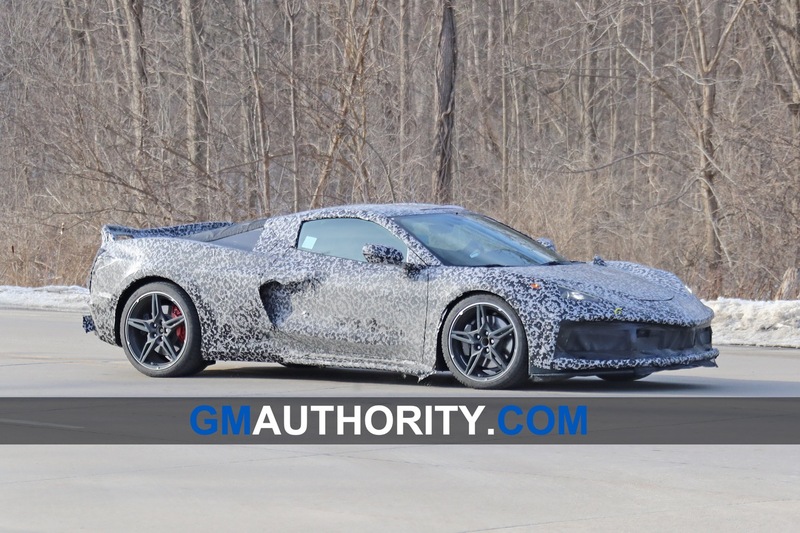 I keep reading about what the “Corvette World” wants or expects. 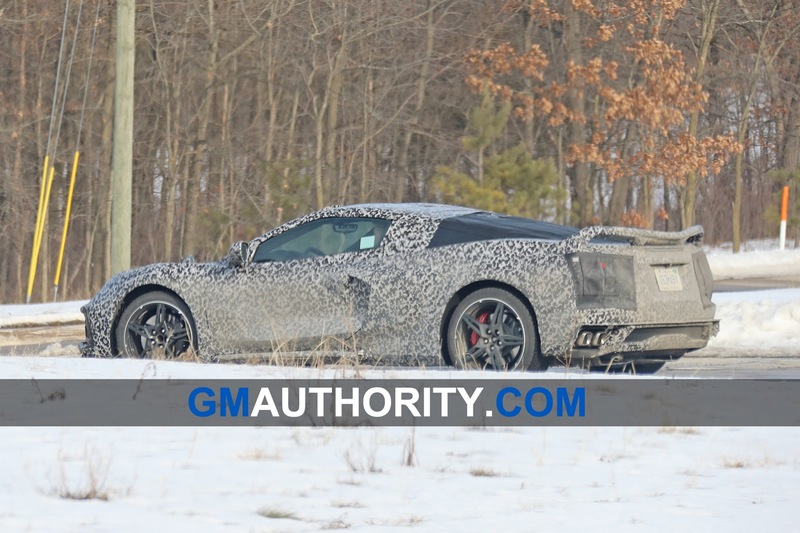 Understand that the “Corvette World” can no longer sustain the Corvette. 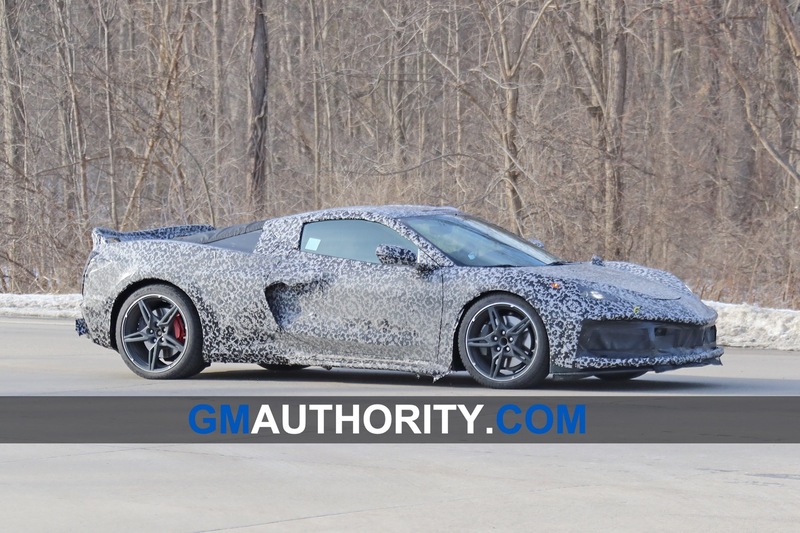 Vette fans are dying faster than they are generated. 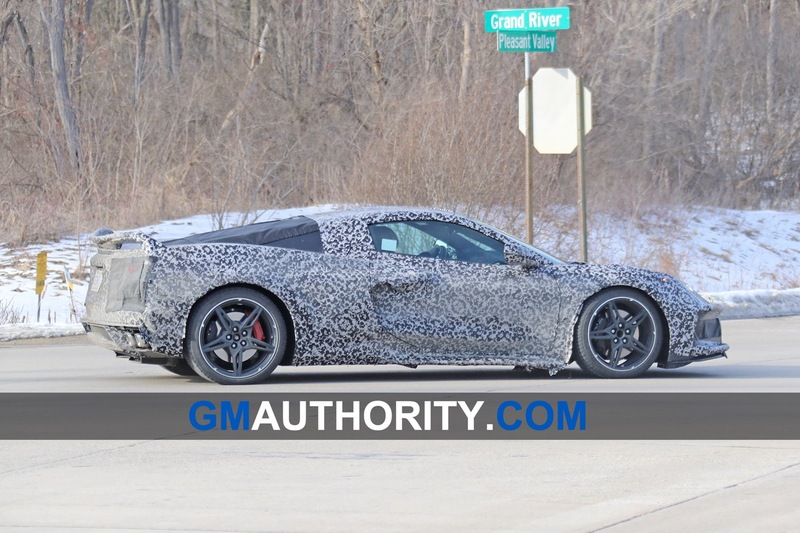 Give GM credit for trying to keep the brand alive by spending a ton of money and talent, and I don’t often defend GM’s Corvette strategies. 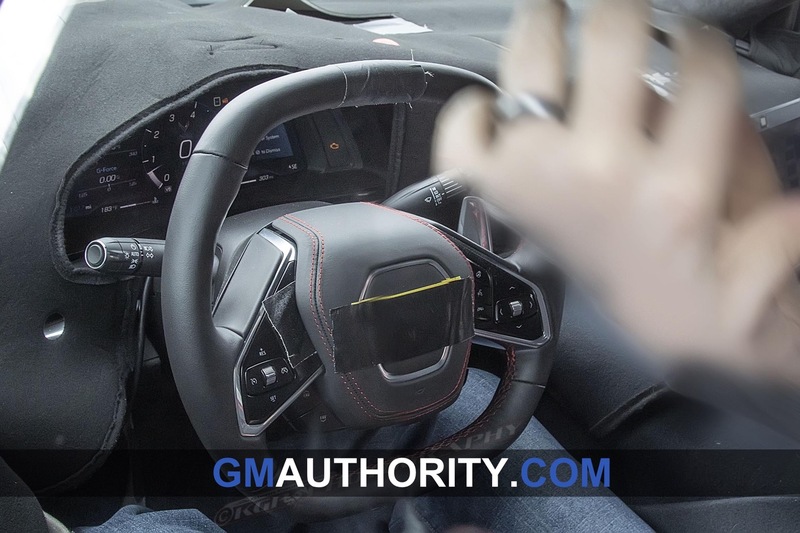 GM needs to grow the brand, and those of us who have been around the brand as consumers need to get over our righteous indignation when the Vette leaves out personal comfort zones. 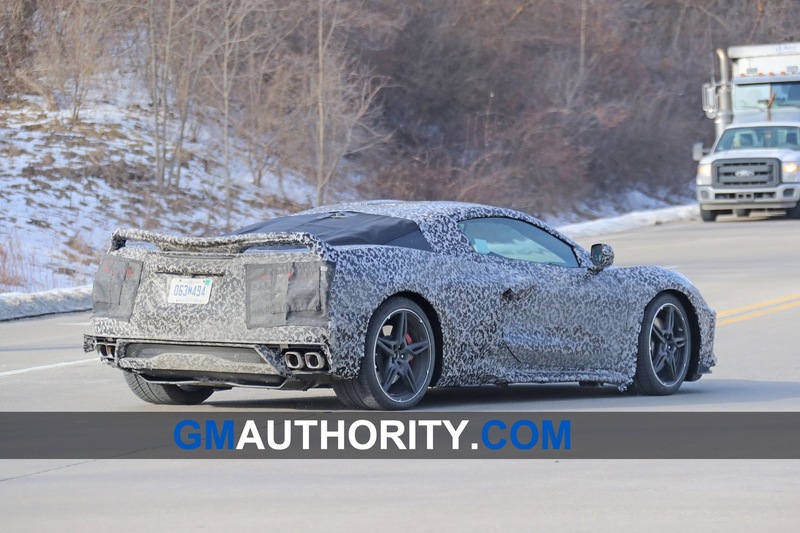 We need new Vette aficionados if the Vette is to have any future. 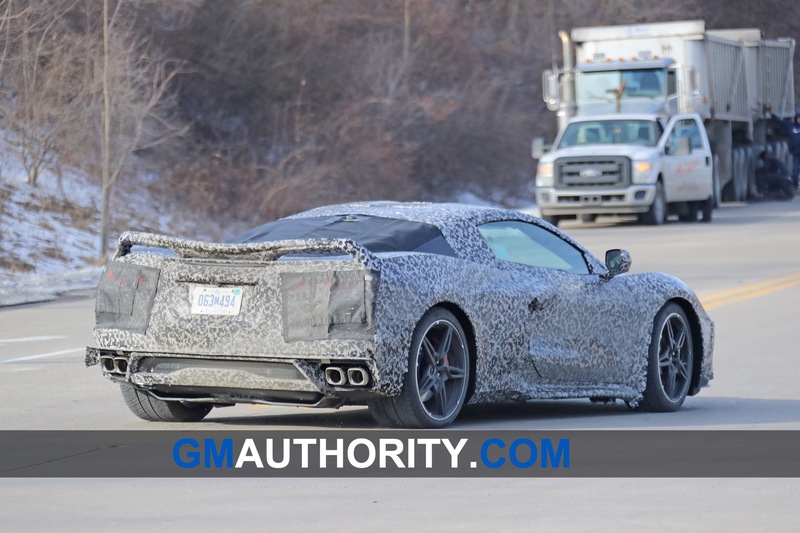 When you can purchase a new Vette with the kind of discount they are going for now, thing are serious.